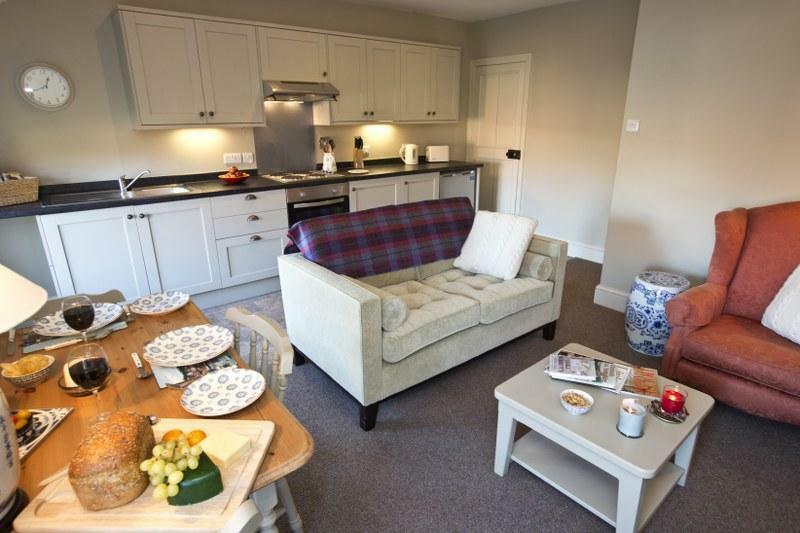 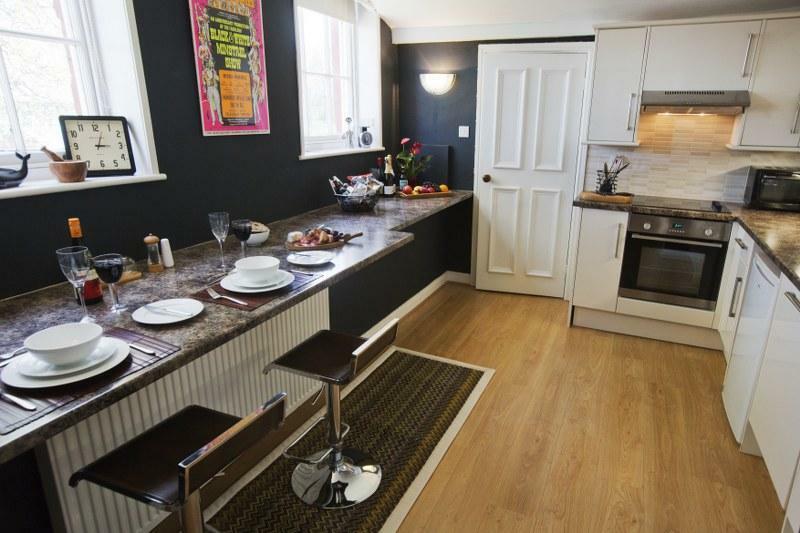 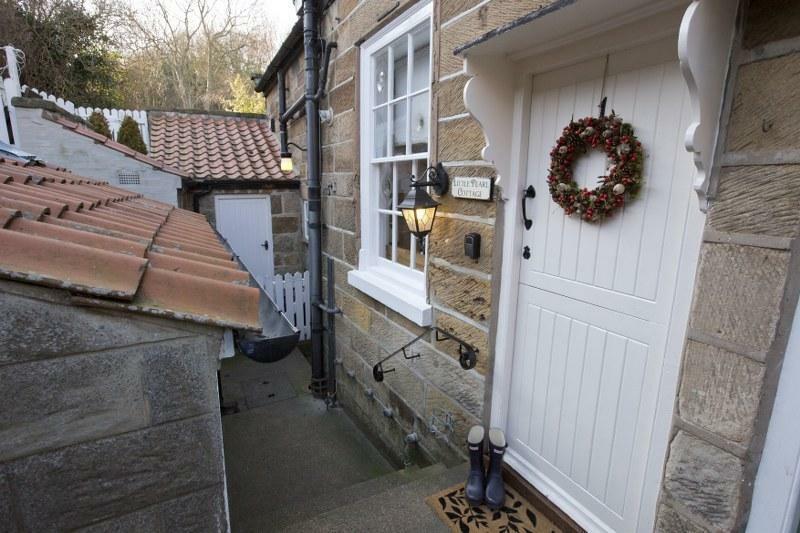 Bay Tree Cottage, from £495! 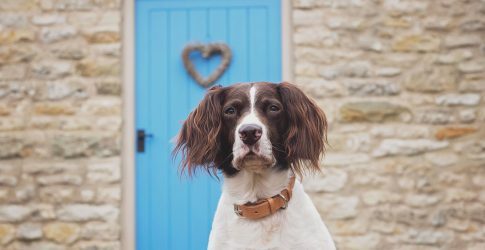 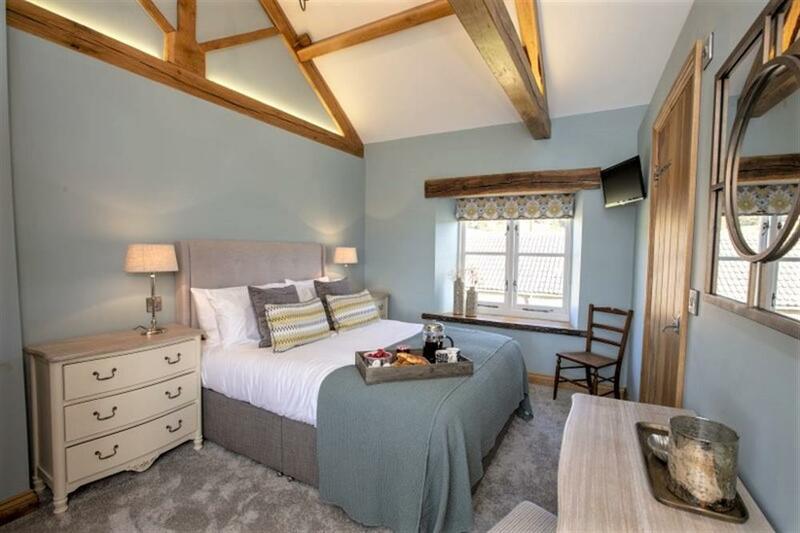 Welcome to Bay Tree Cottage, a beautiful 2-bedroom luxury holiday cottage set within gorgeous Nidderdale, an Area of Outstanding Natural Beauty. 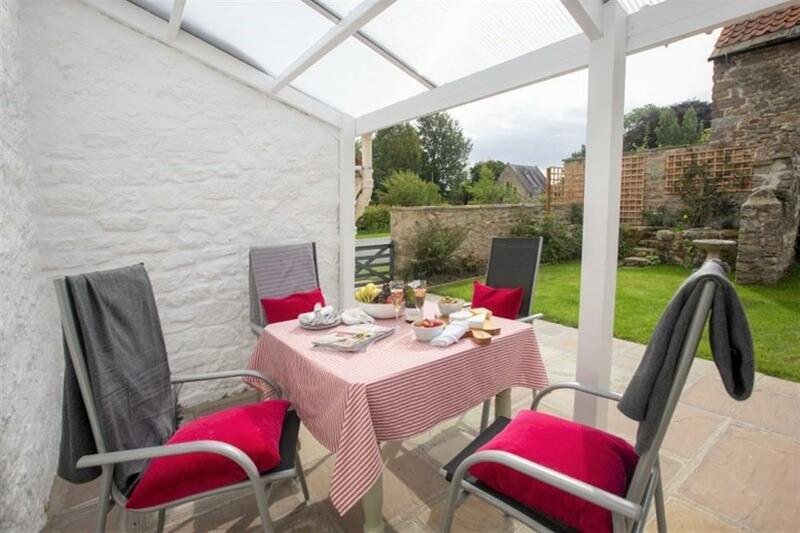 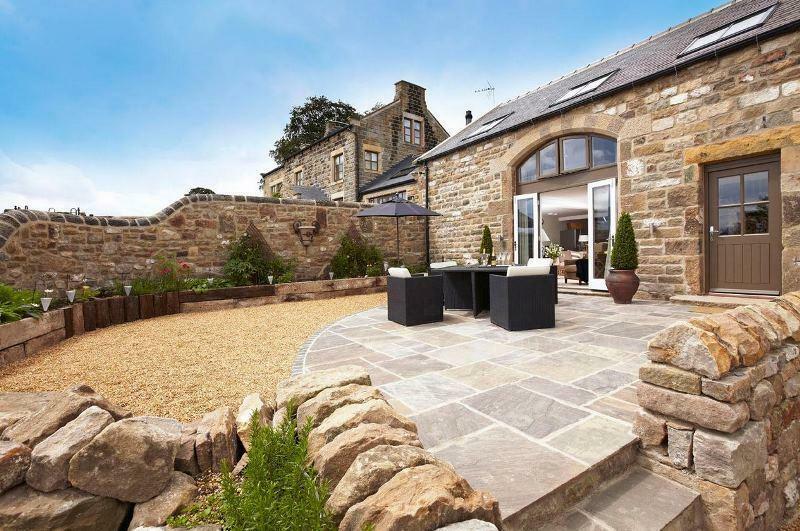 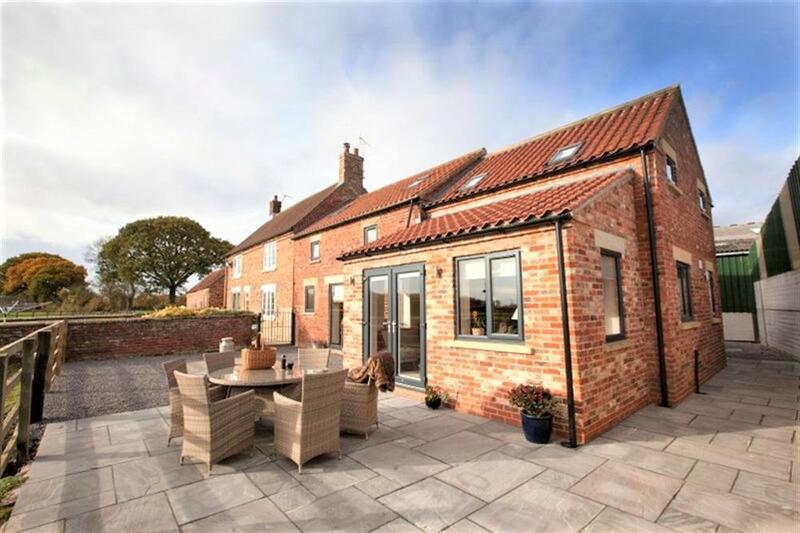 With its elevated hill-top position the views from this cottage are just stunning, and with gorgeous interiors with a 5 Star feel and Harrogate just less than half an hour away, this is the perfect holiday cottage for couples or groups of friends looking for something truly special. 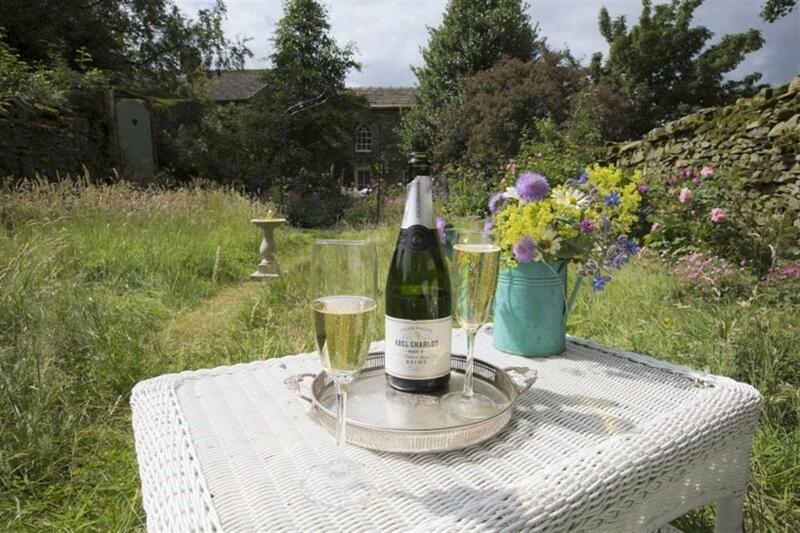 Welcome to Dragonfly, a stunning romantic hideaway set in Nidderdale, an Area of Outstanding Natural Beauty. 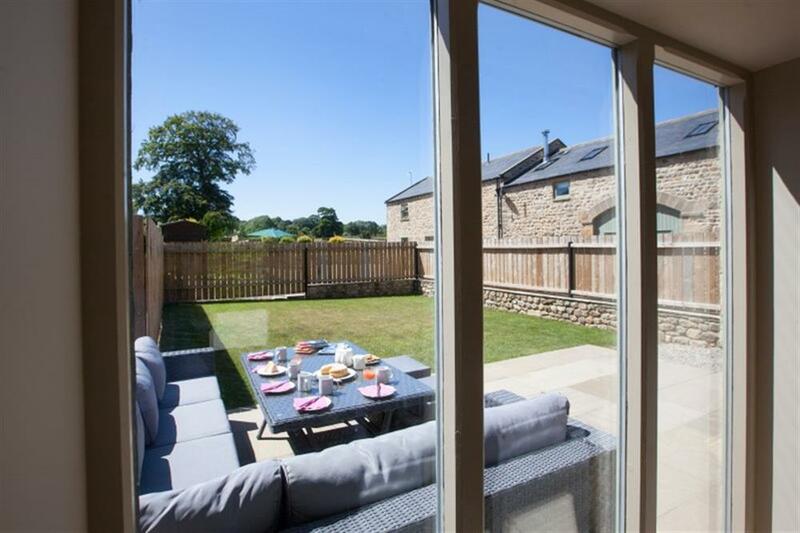 Less than 30 minutes to cosmopolitan Harrogate, its perfect for couples looking for a rural escape whilst keeping one foot on urban ground. 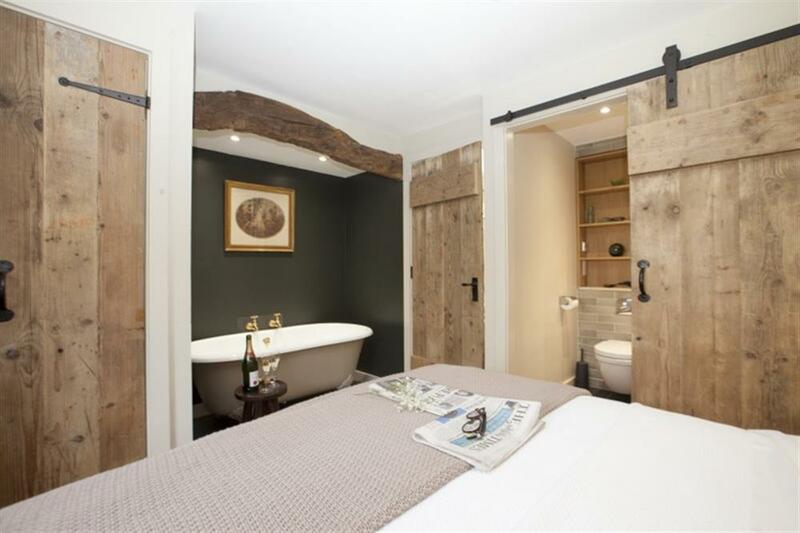 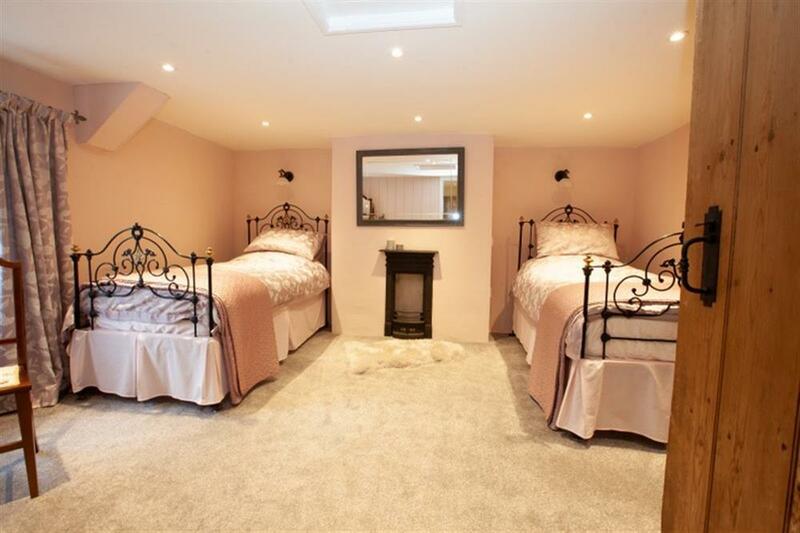 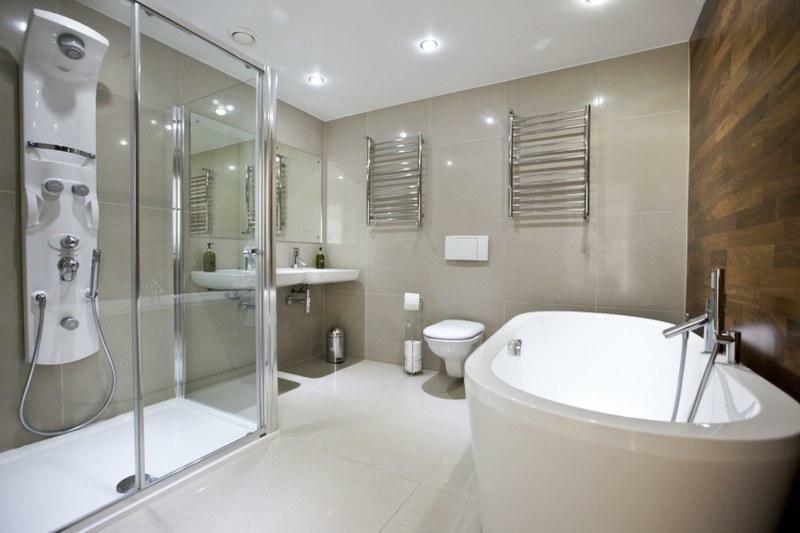 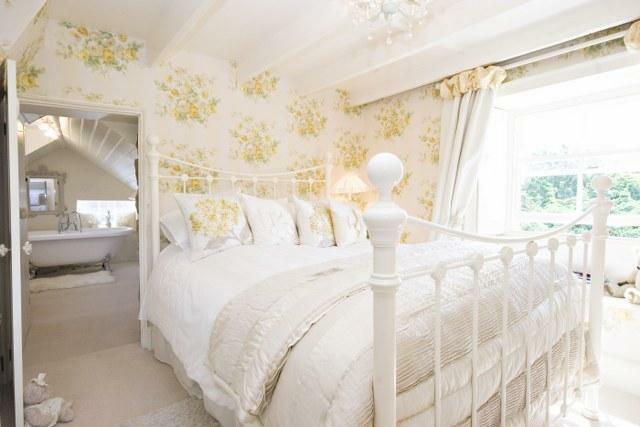 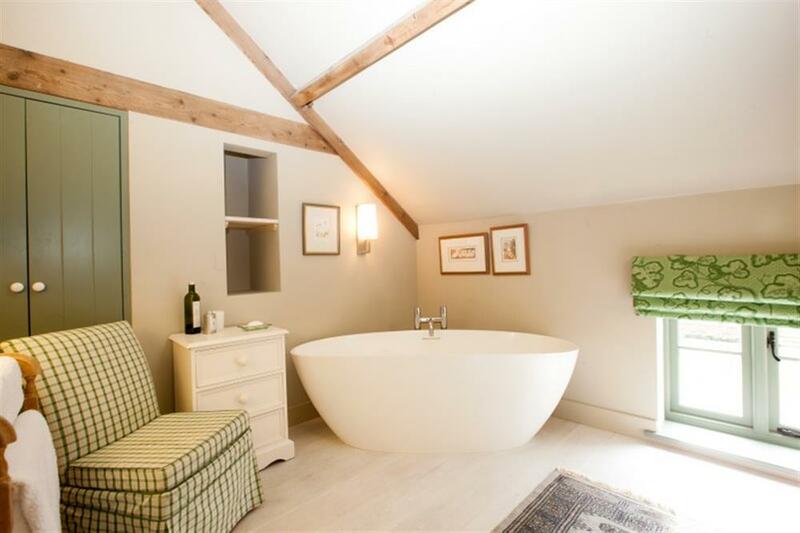 Fabulous interiors include a wow-factor bedroom and magnificent bathroom. 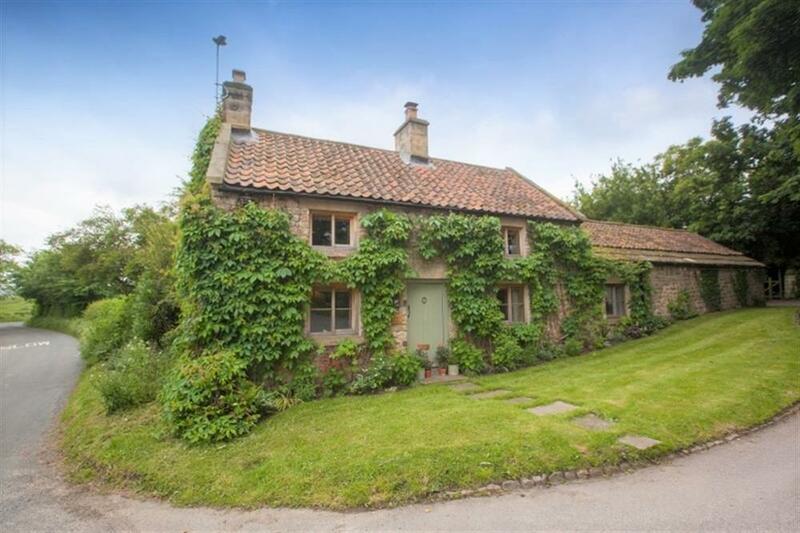 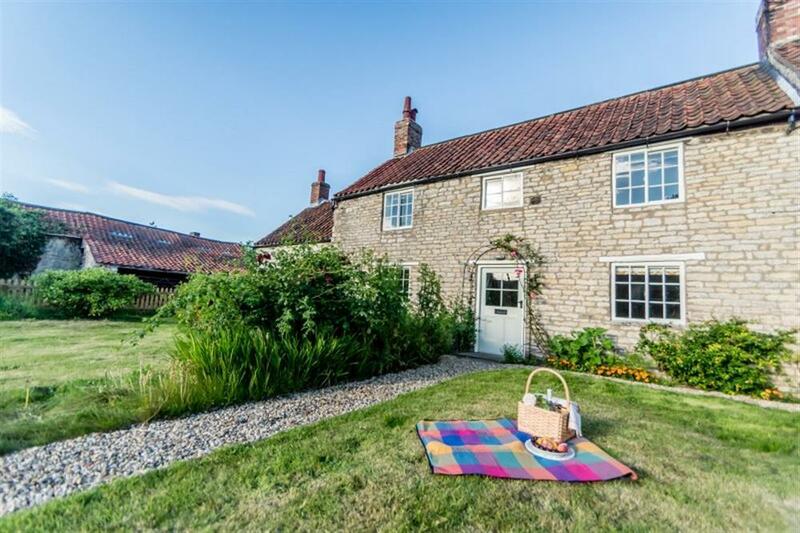 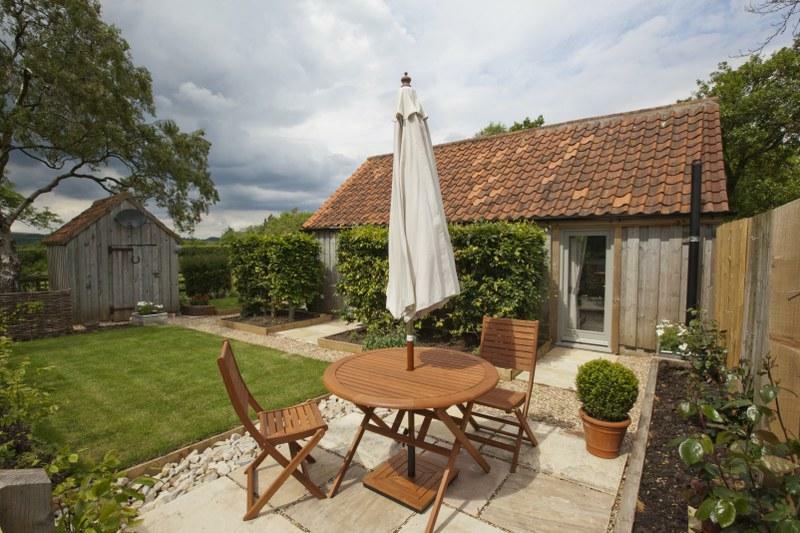 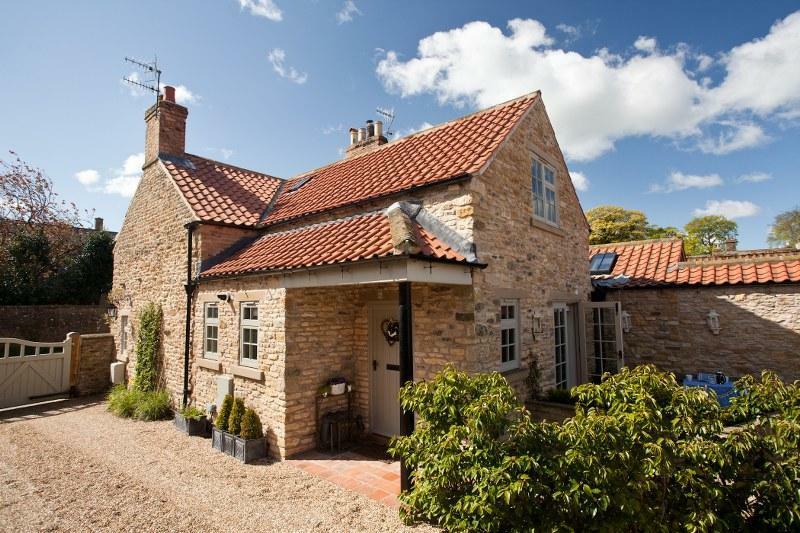 Welcome to Toby's Cottage, a beautiful Grade II listed sandstone cottage set in a picture-postcard village just 30 minutes from York. 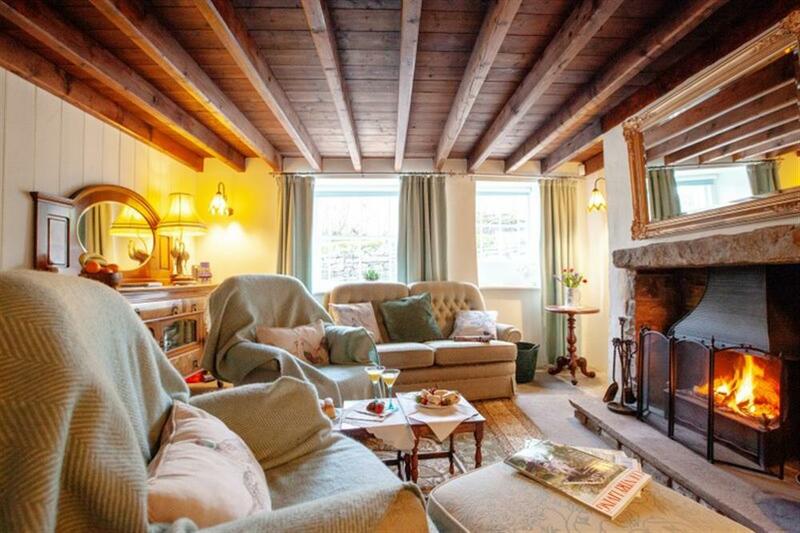 With its chocolate-box good looks, cosy elegant interiors and an excellent foodie pub just across the road, this might just be country cottage heaven. 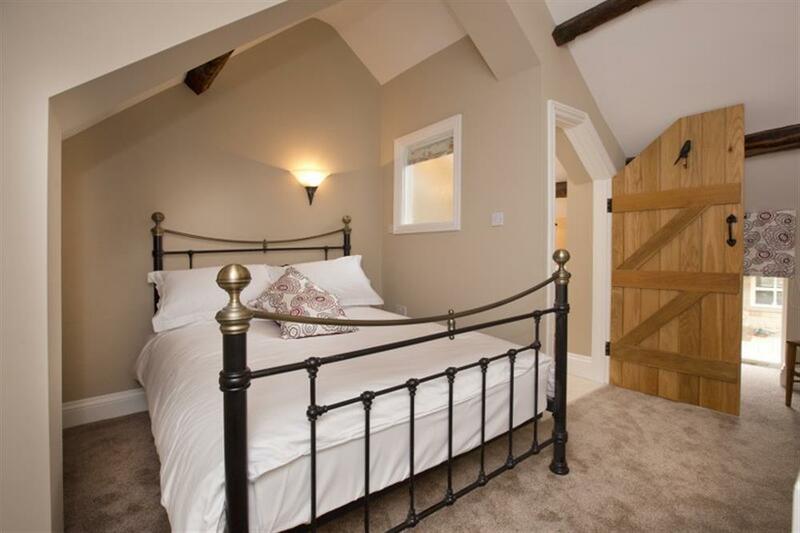 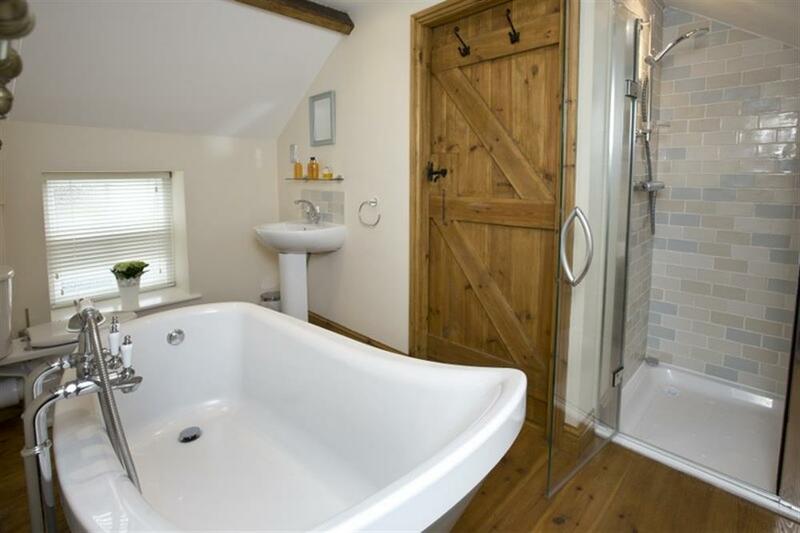 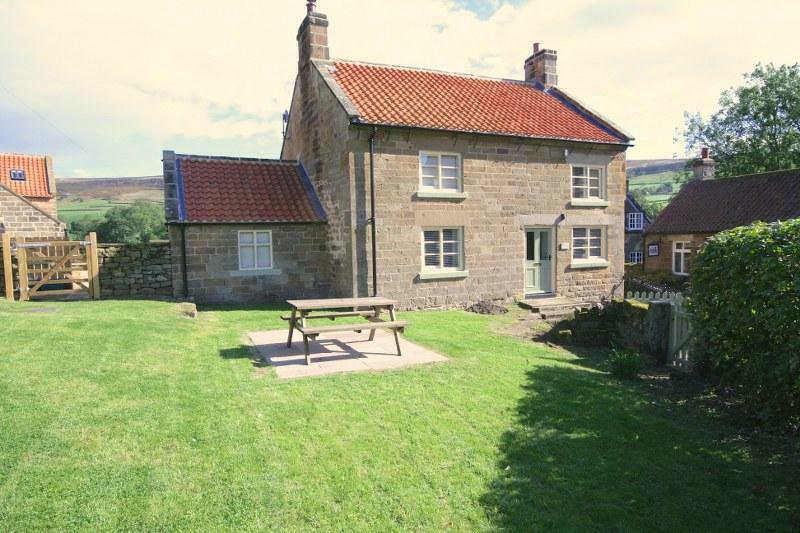 Welcome to Granary Cottage, a gorgeous little converted barn with a stunning moorland setting near Robin Hoods Bay. 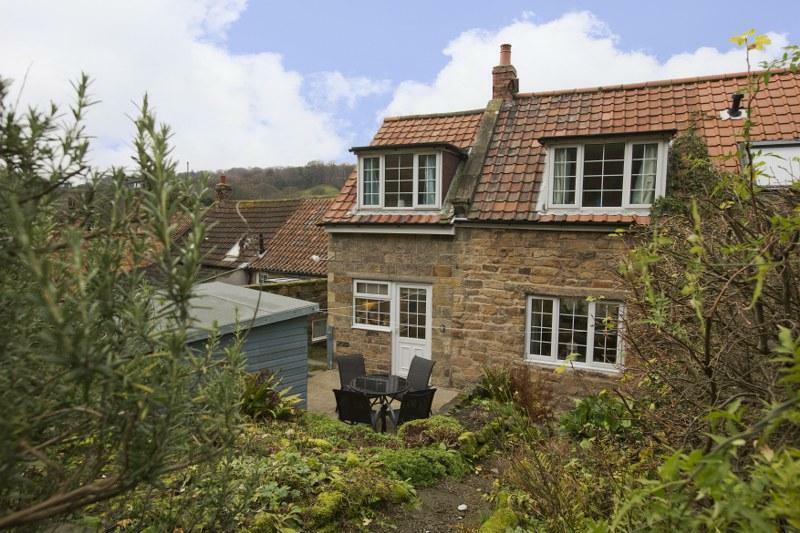 Get ready to fall head over heels in love with this cute-as-a-button cottage with moorland walks down to the sea from the doorstep. 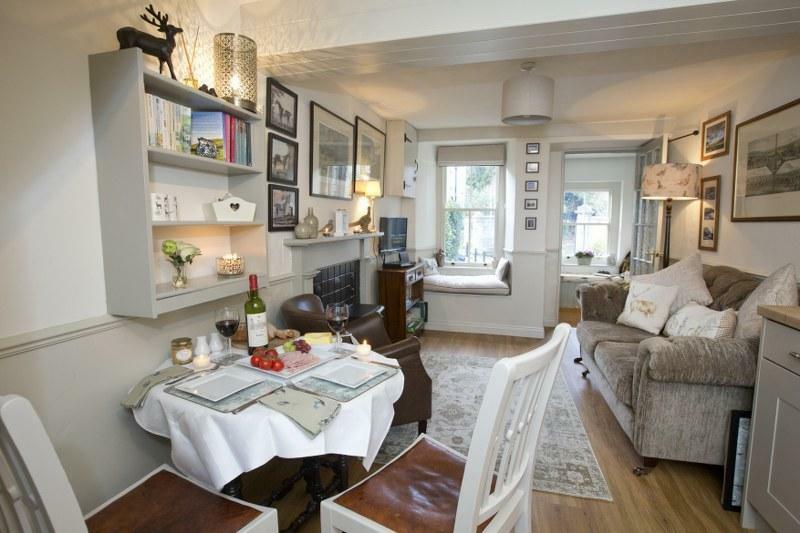 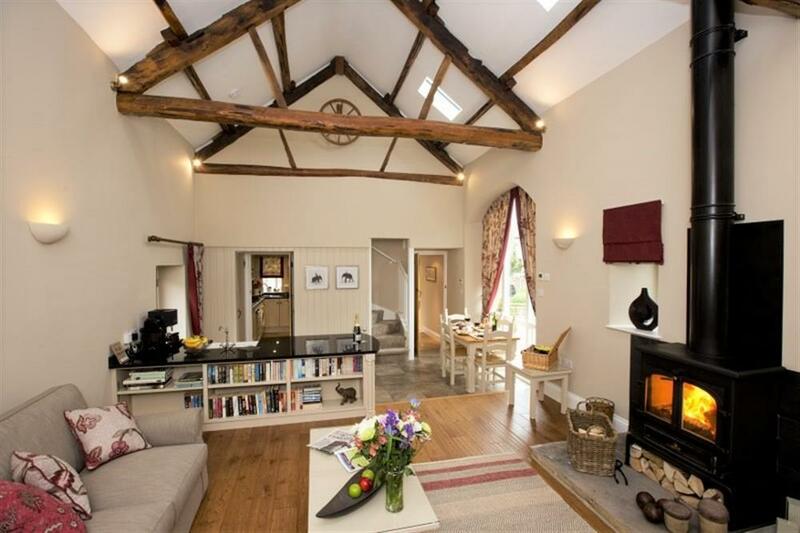 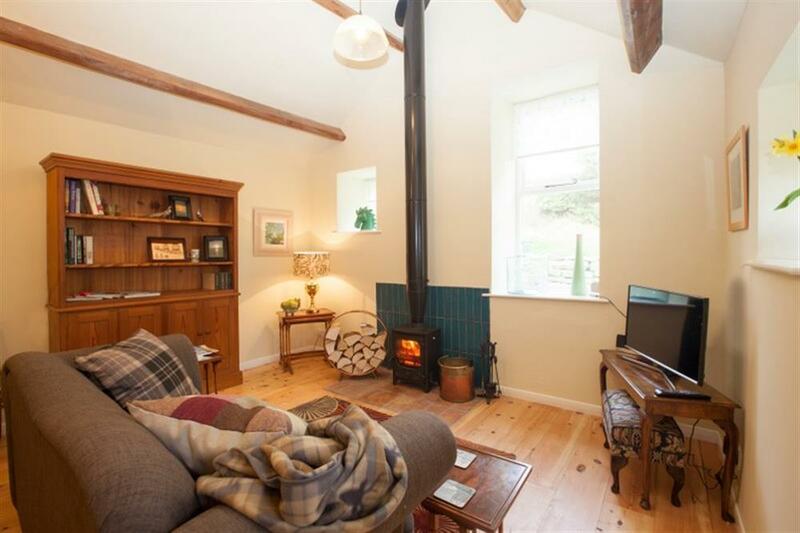 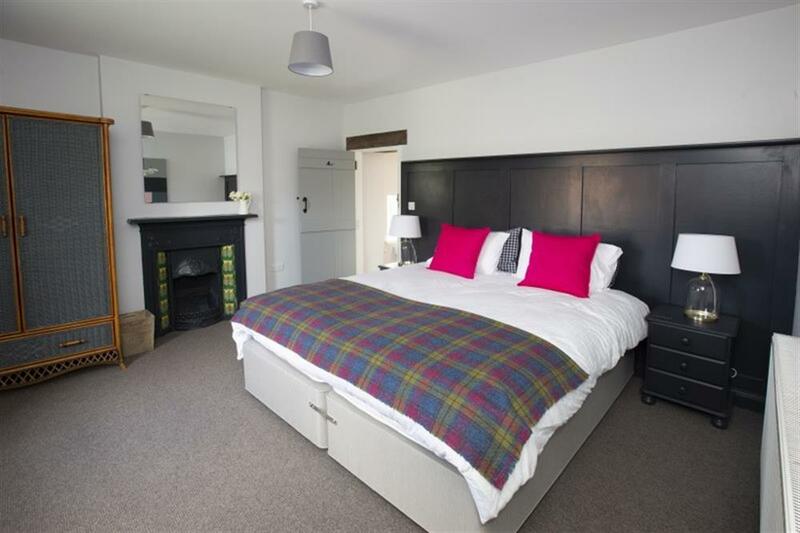 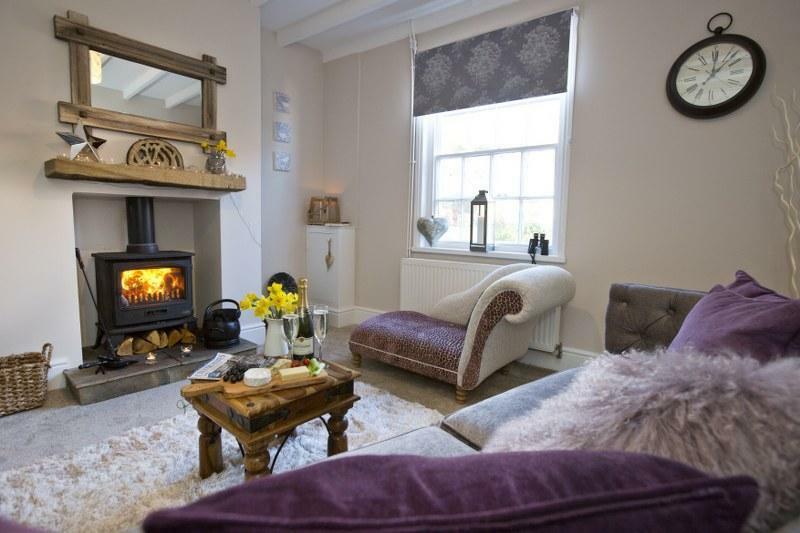 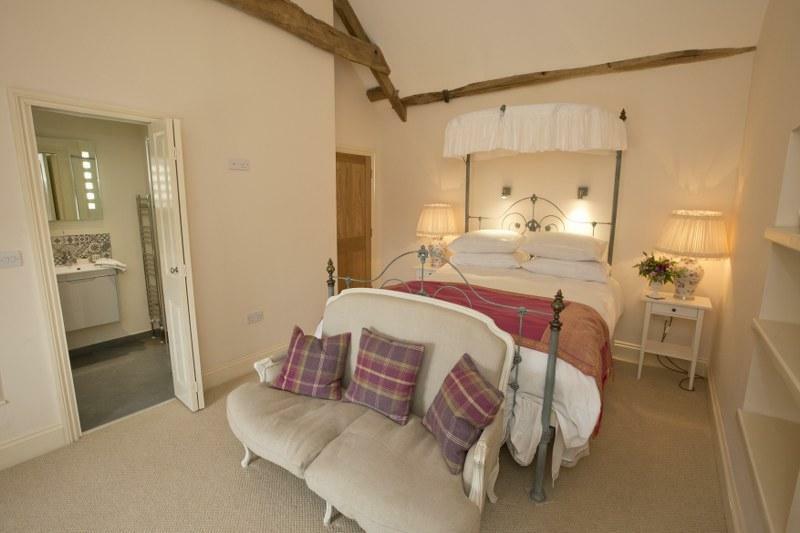 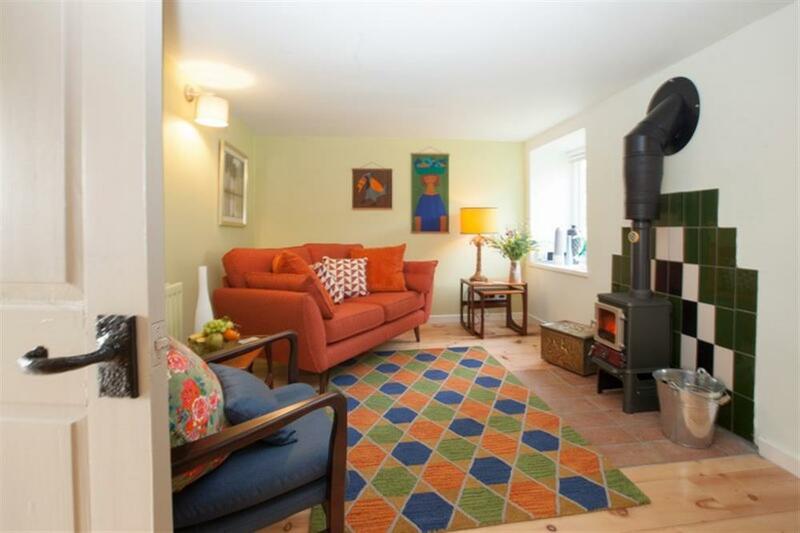 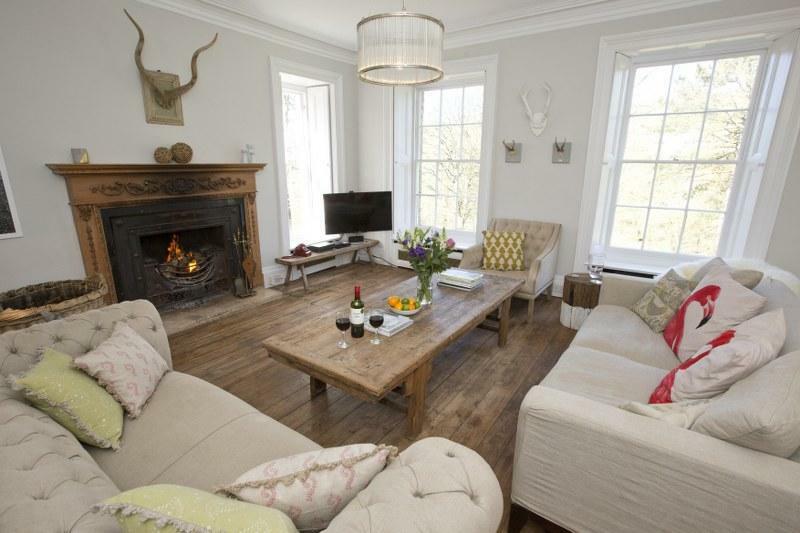 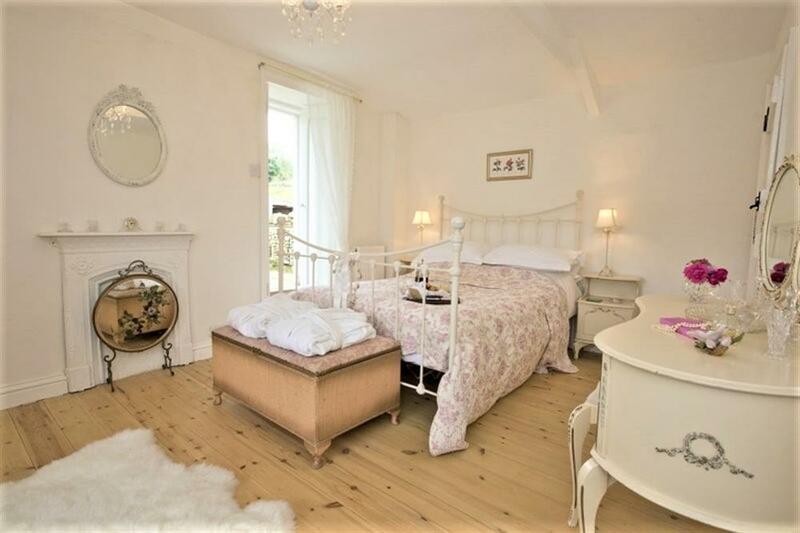 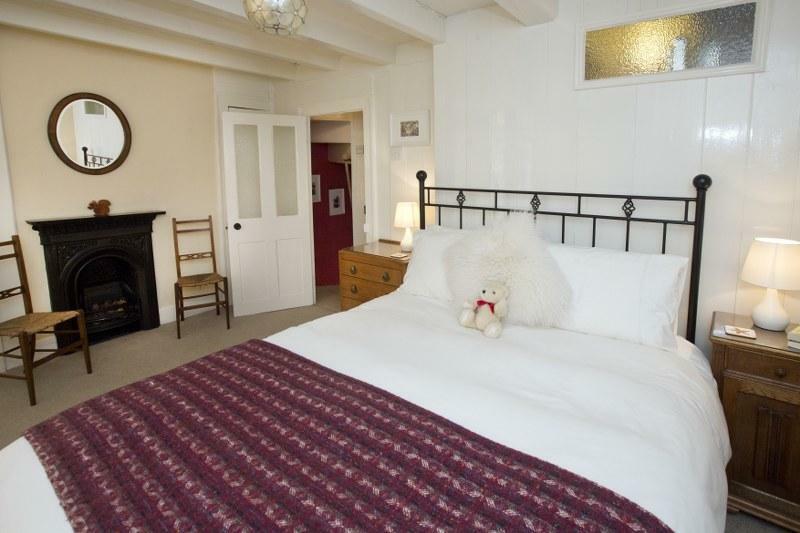 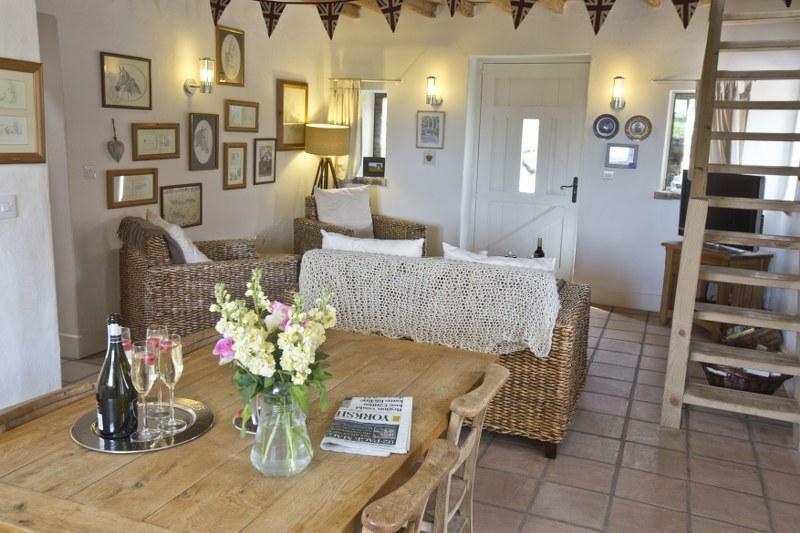 Perfect for couples looking for a cosy rural escape close to the coast. 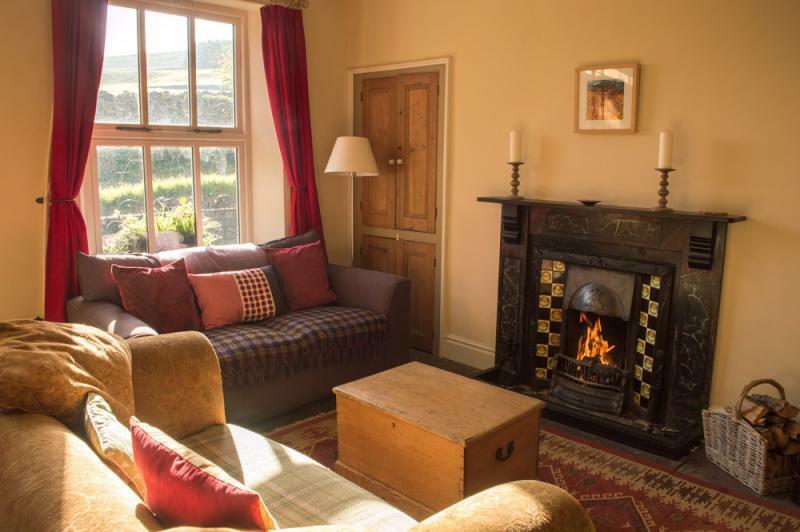 Set in beautiful Wharedale in the heart of the Yorkshire Dales, Croft House is a traditional and cosy stone built cottage boasting stunning views from almost every room. 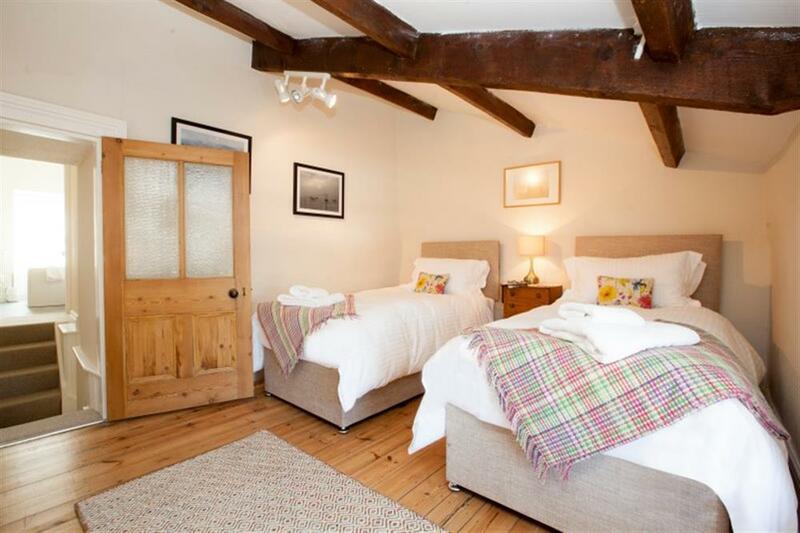 Sleeping up to 6 people in 4 bedrooms (with a games room) it's the perfect holiday cottage for families and groups of friends. 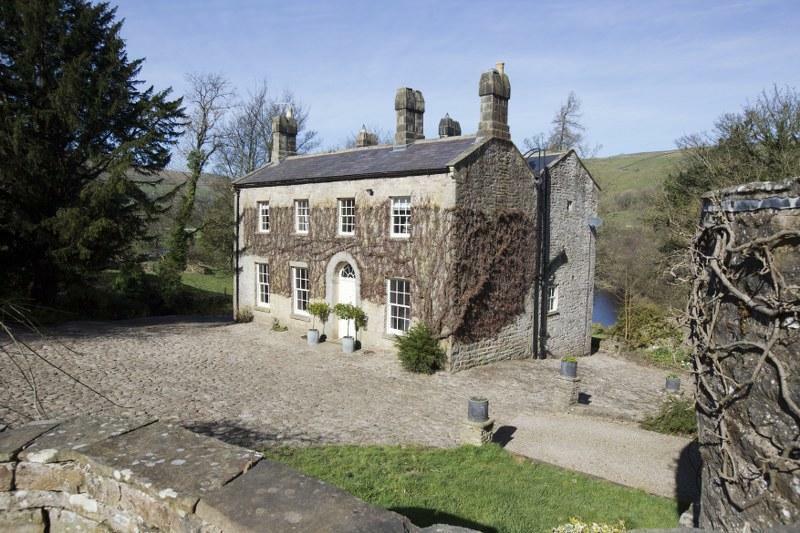 And if you're a keen walker, this property is holiday heaven! 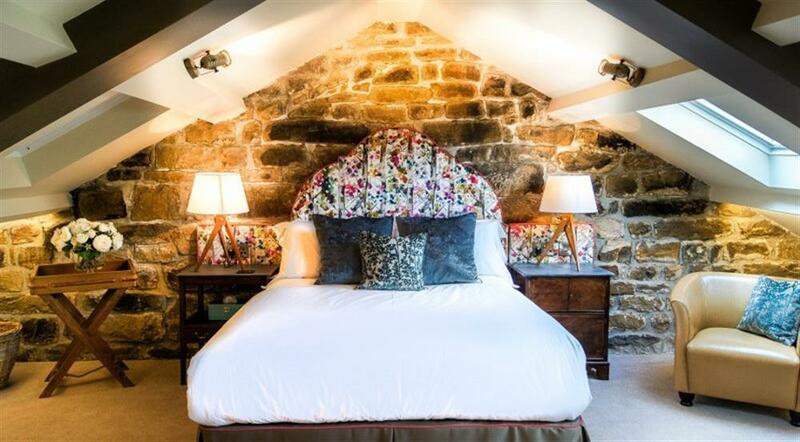 Barley Cottage is a 4 Star Gold elegant and spacious 2-bedroom luxury cottage in Gillamoor, a sleepy little village in the North York Moors complete with a 17th Century village pub. 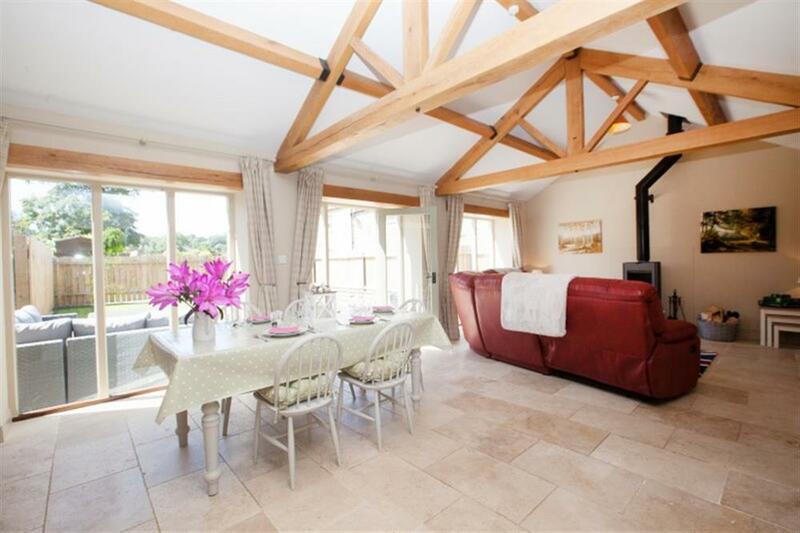 With country-chic interiors and a beautiful large garden, it's the perfect country retreat for discerning couples and families alike. 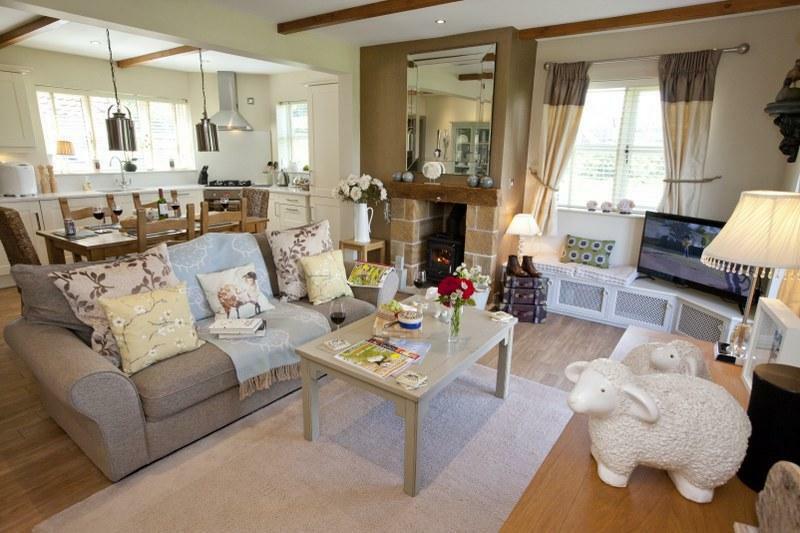 Rowan House is a spacious and warm family holiday home set in a peaceful little village on the cusp of Wensleydale. 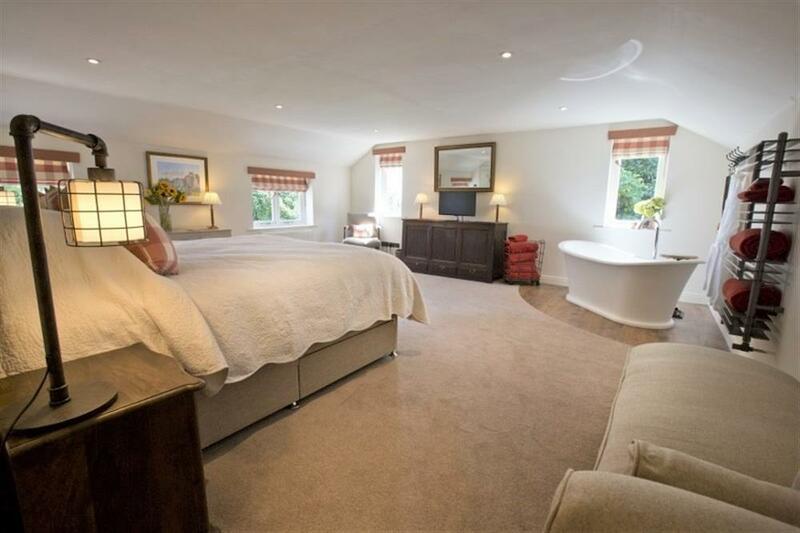 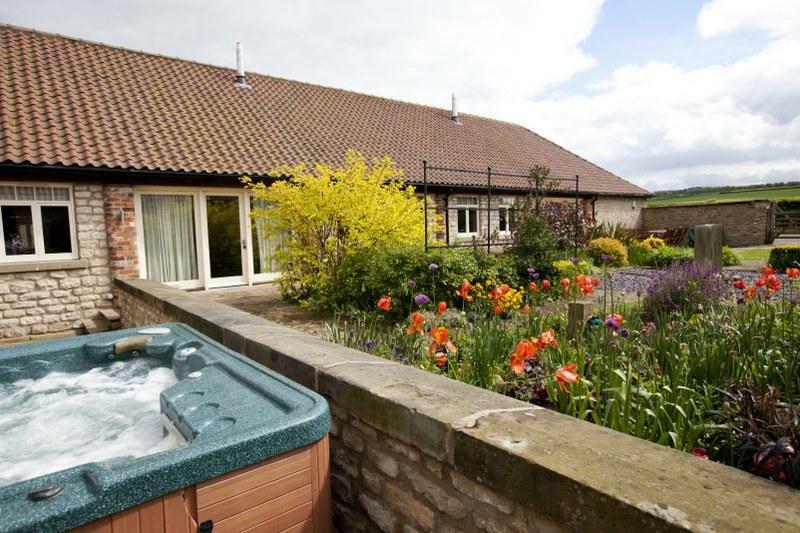 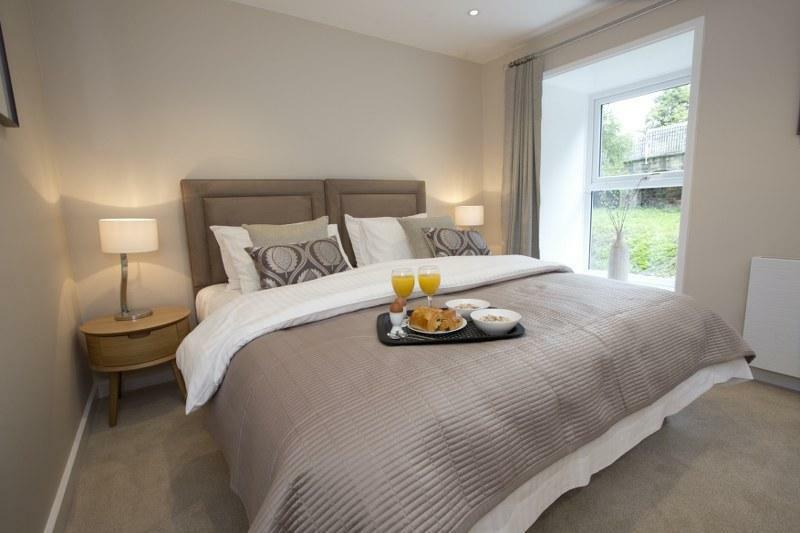 Sleeping up to 8 people comfortably you will love the generous living areas, secluded private garden and gorgeous uninterrupted views of the Yorkshire countryside. 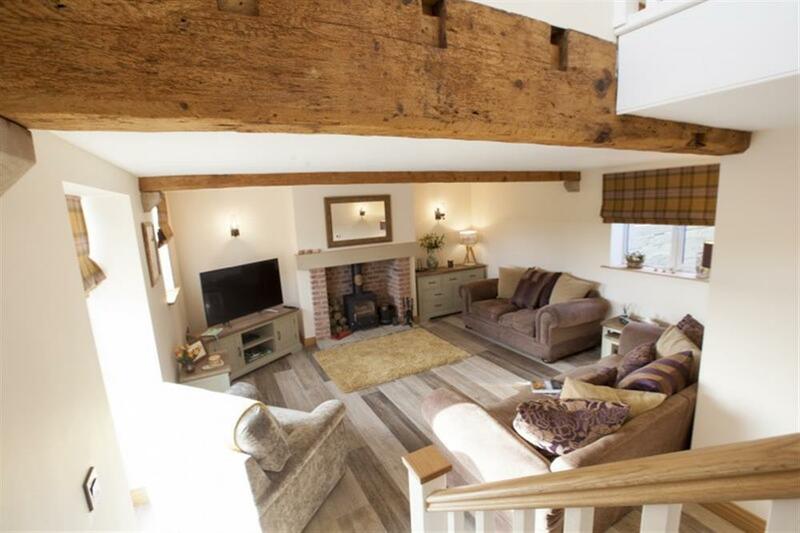 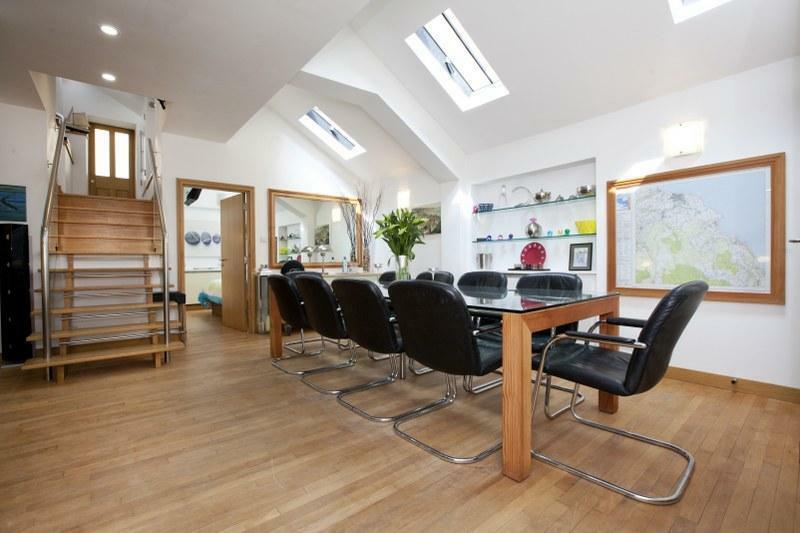 With a pub within a short stroll this lovely property is the perfect option for family get-togethers and special celebrations. 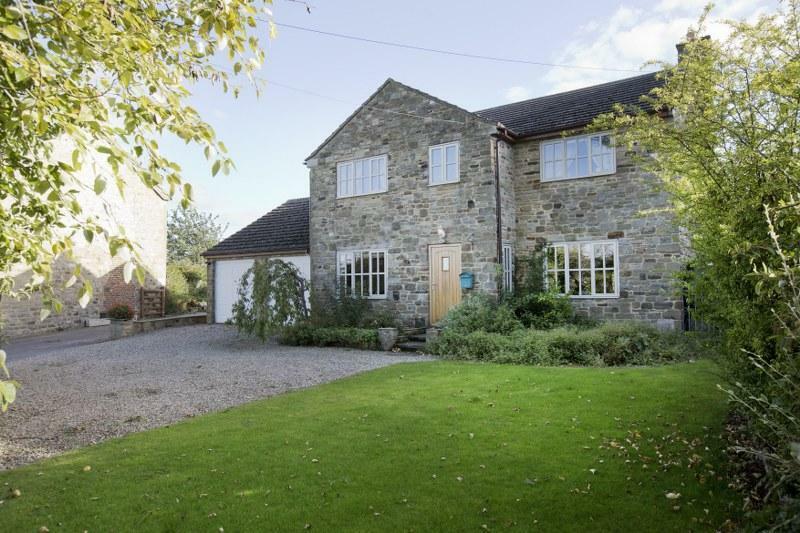 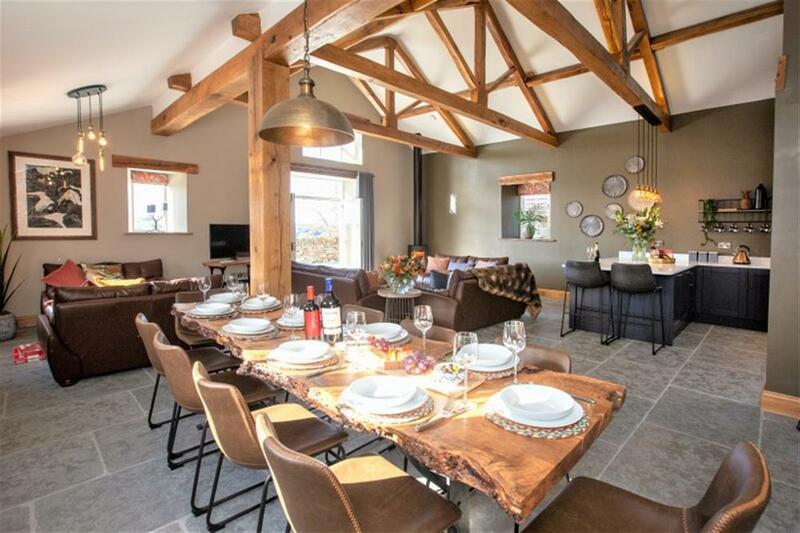 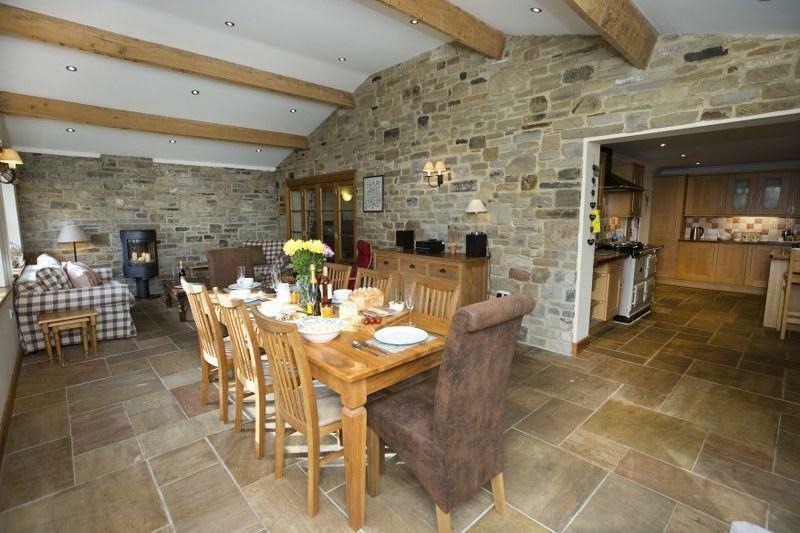 Welcome to Fortmayne Stables, an immaculate 3-bedroom barn conversion set on the cusp of Wensleydale. 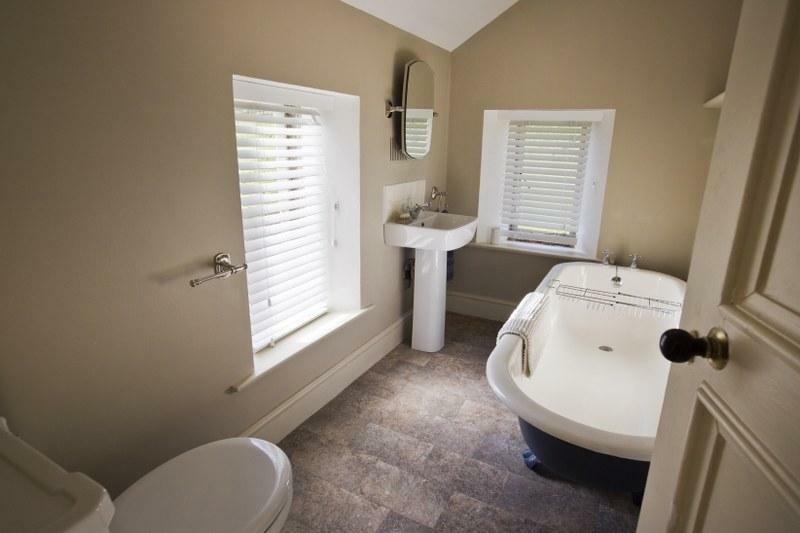 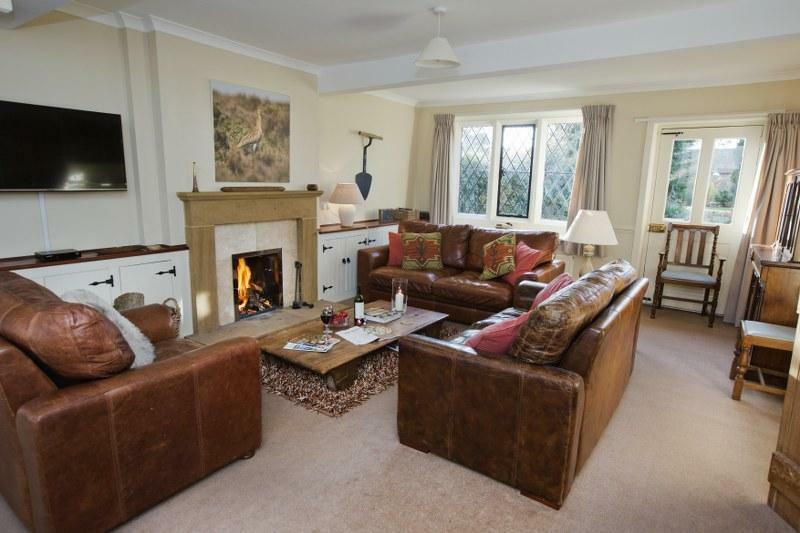 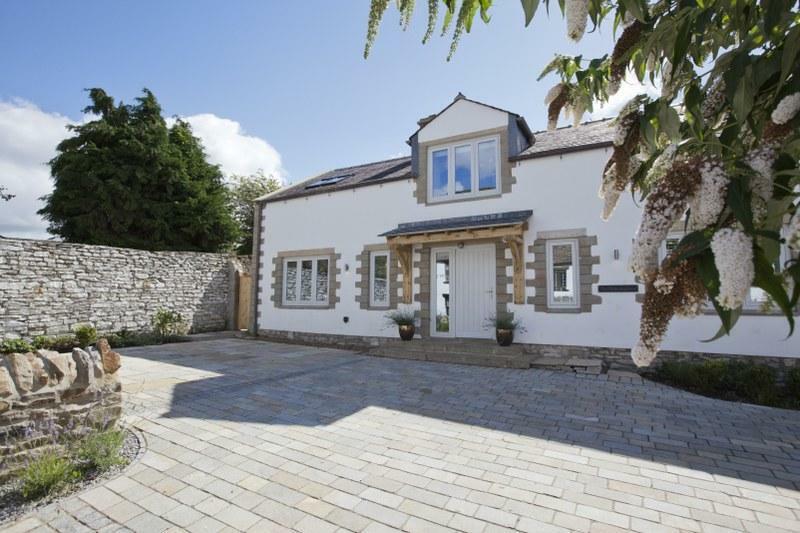 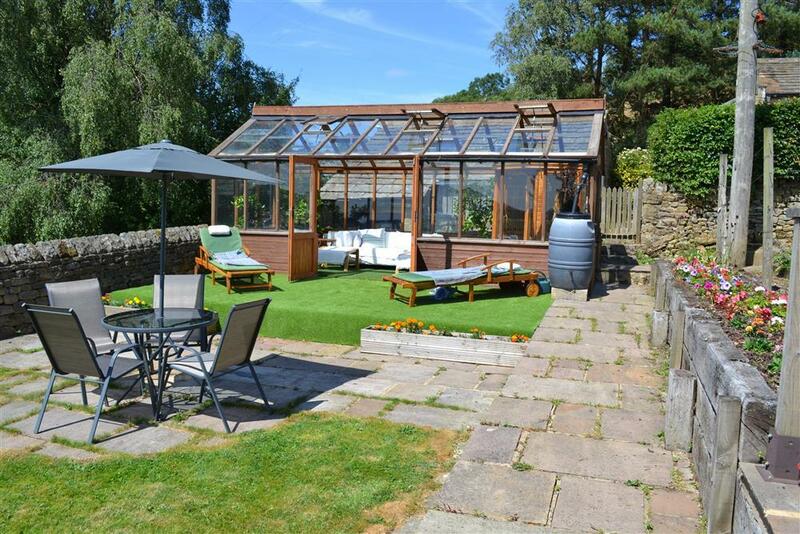 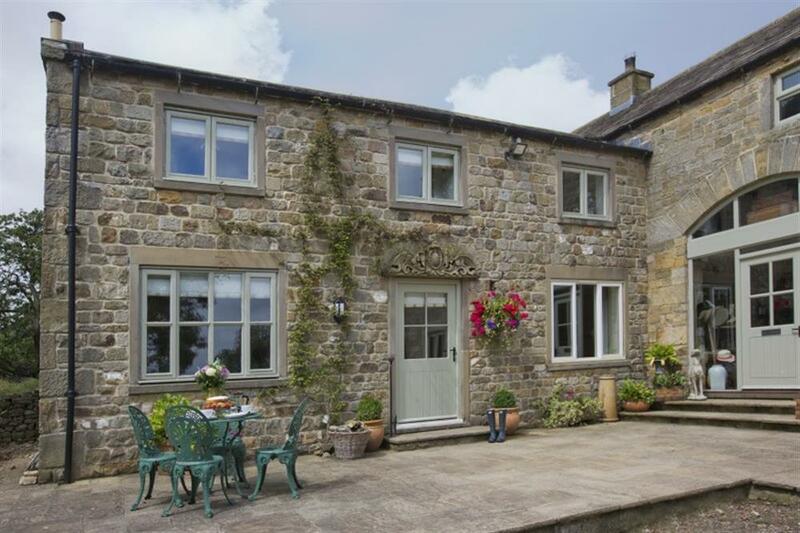 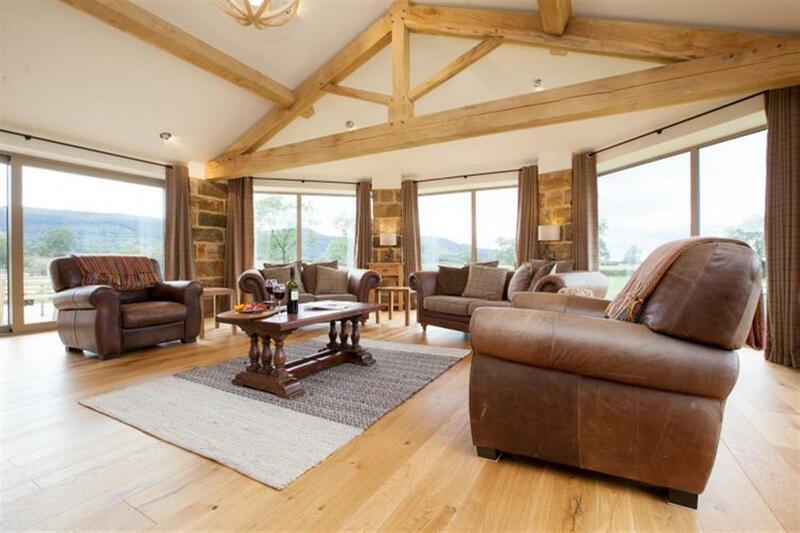 With its elegant comfortable interiors, attractive enclosed garden and picturesque rural setting this is the perfect country pad for couples and friends looking to explore the beauty of the Yorkshire Dales. 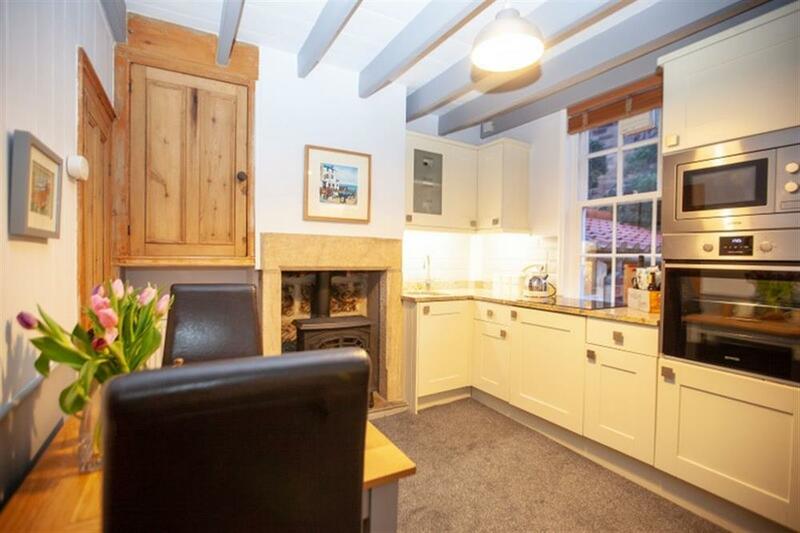 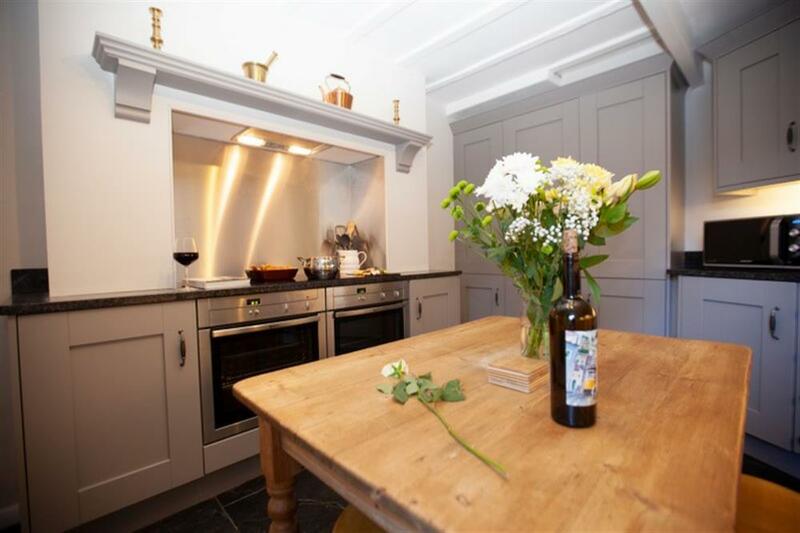 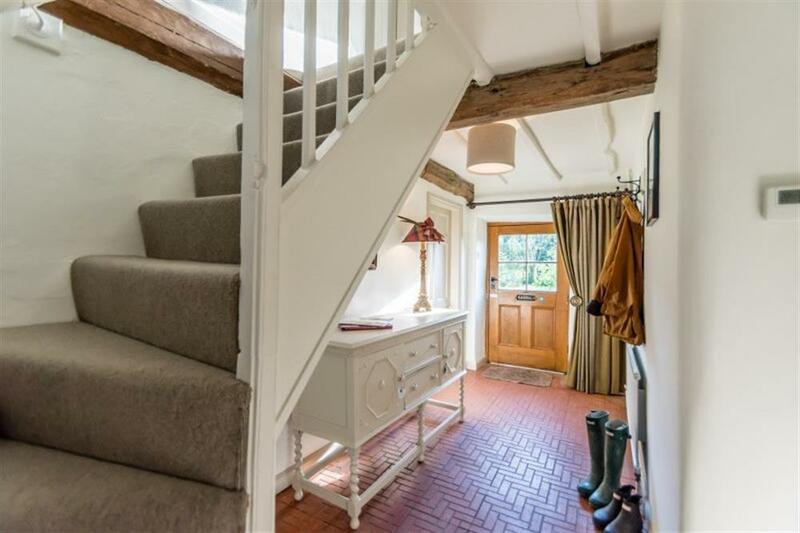 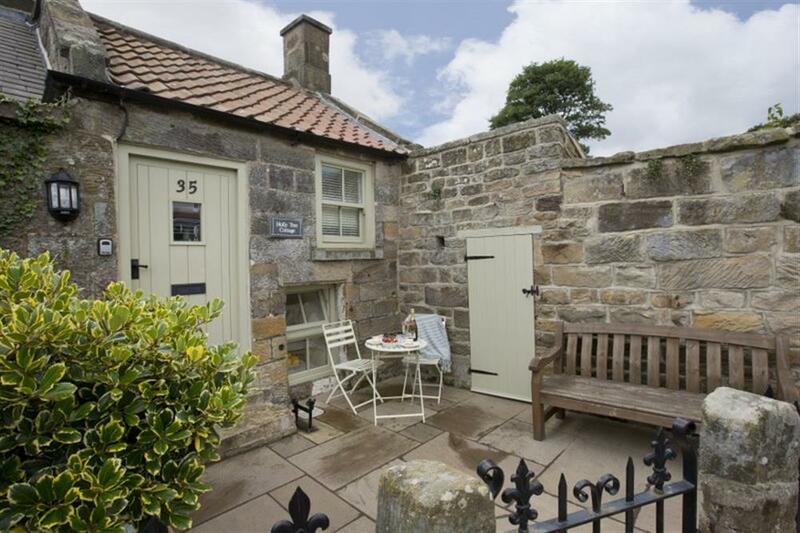 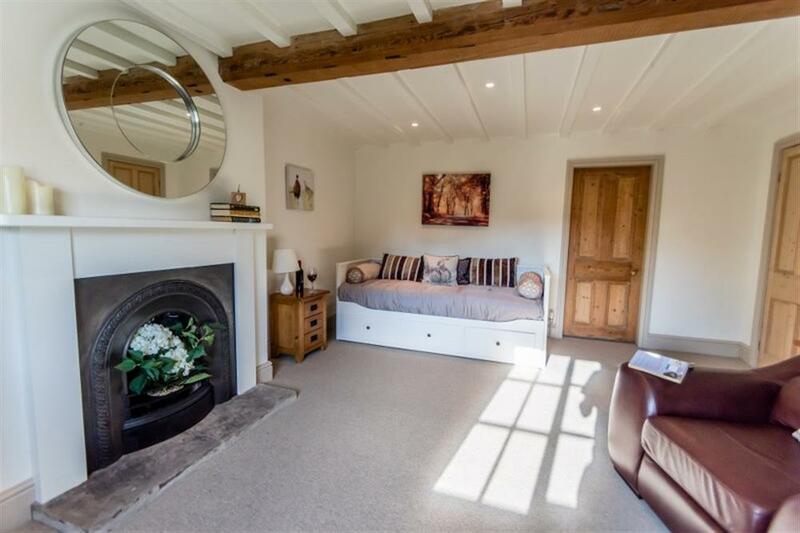 Welcome to Curlew Cottage, set down a quiet gated lane, on the edge of one of the most picturesque villages of the North York Moors National Park, this beautiful stone-built cottage oozes charm and character. 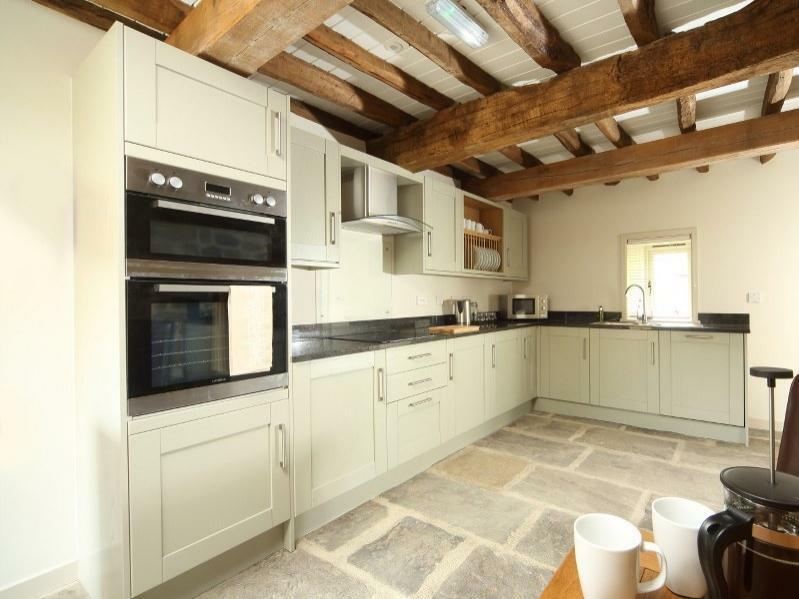 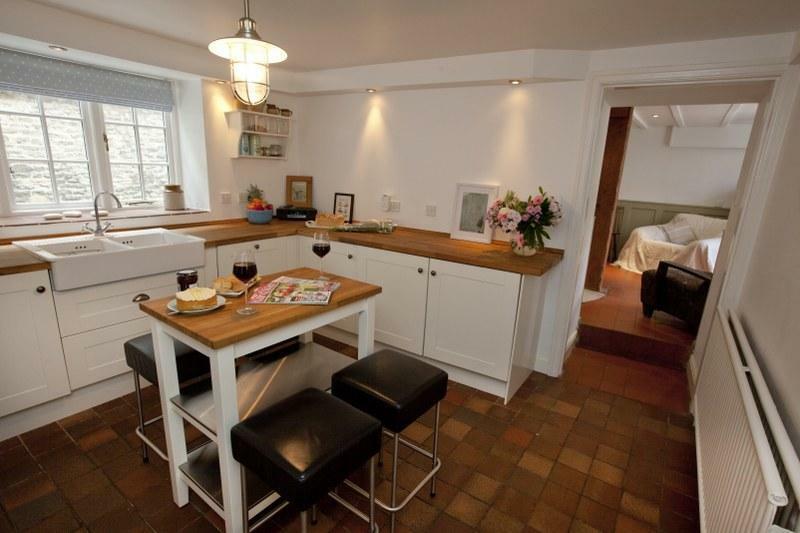 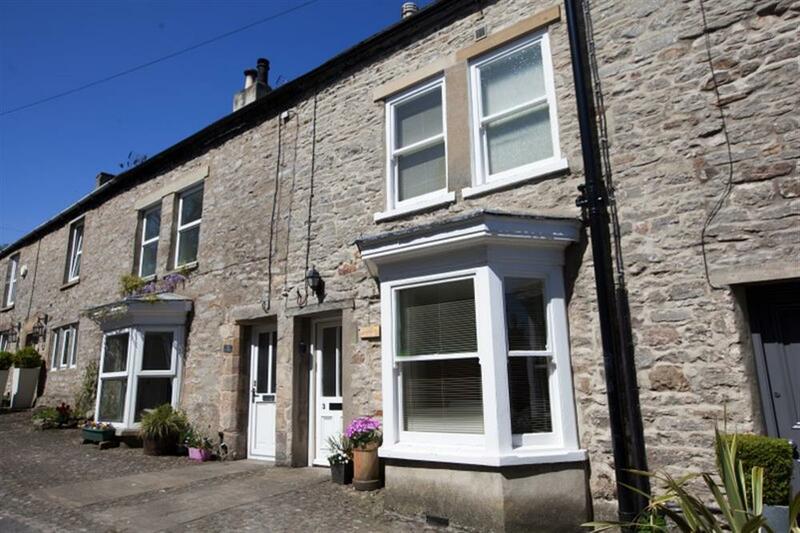 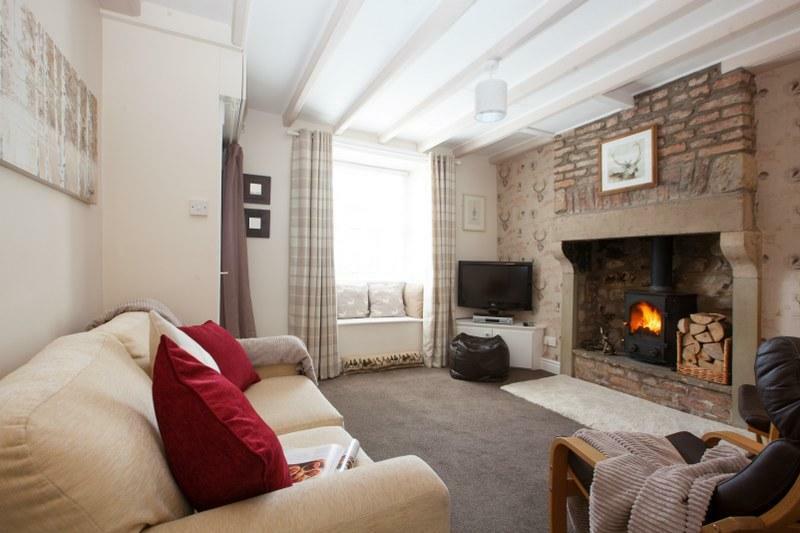 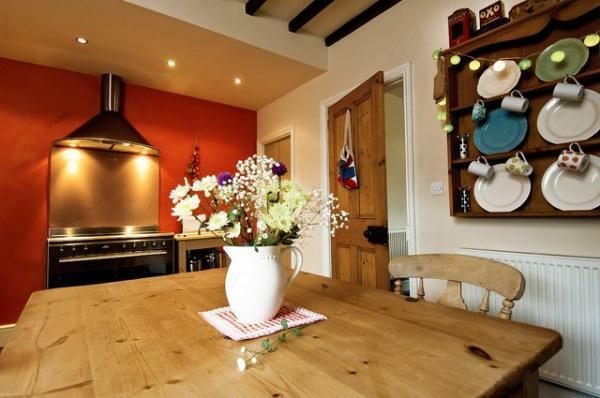 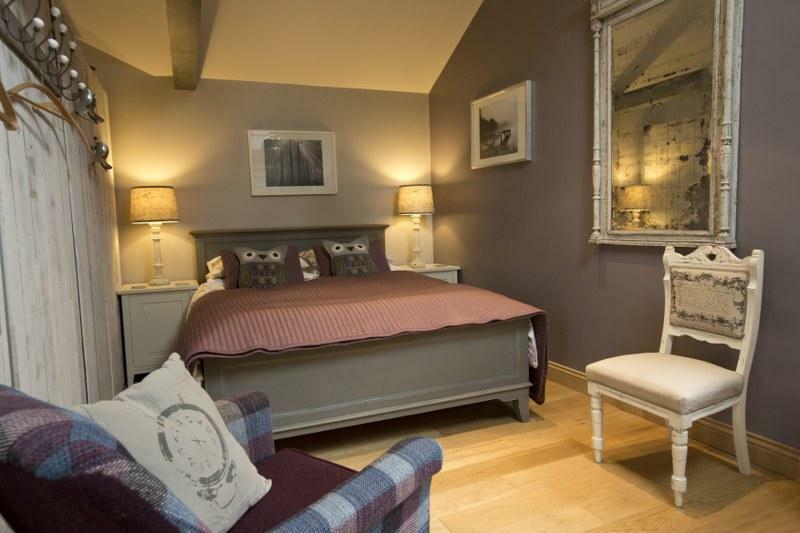 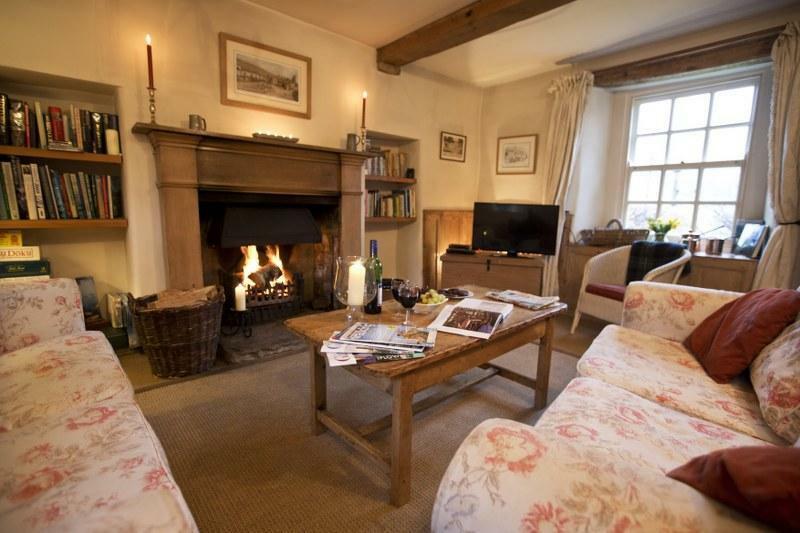 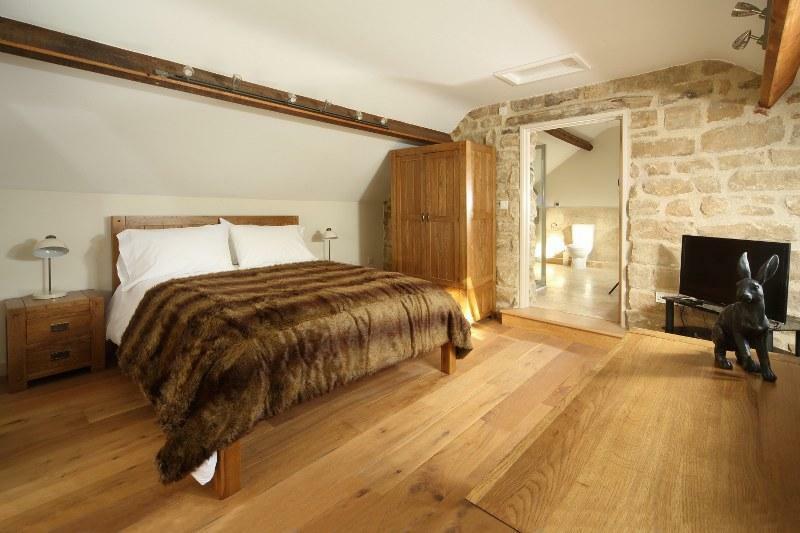 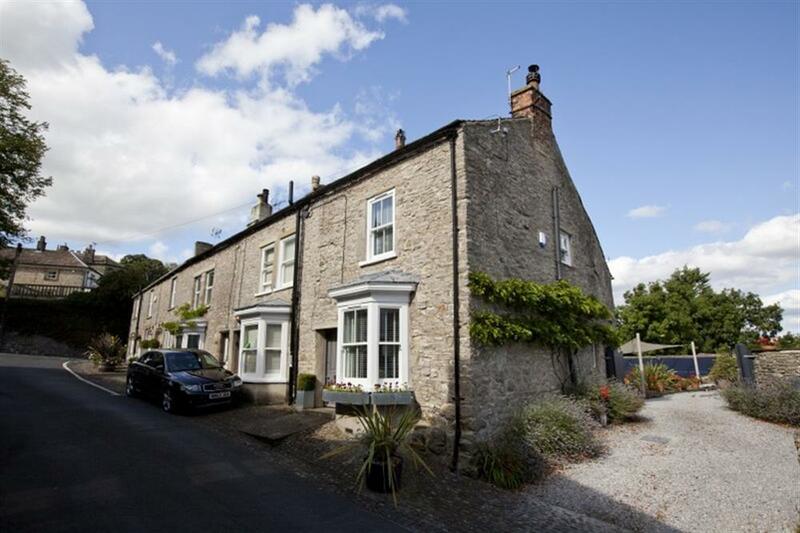 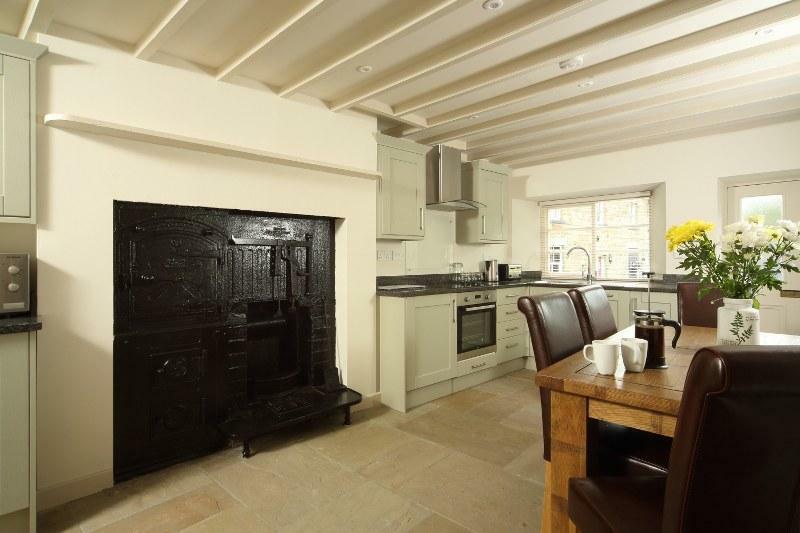 Welcome to Little Windor, a very pretty stone-built cottage tucked away in gorgeous Middleham. 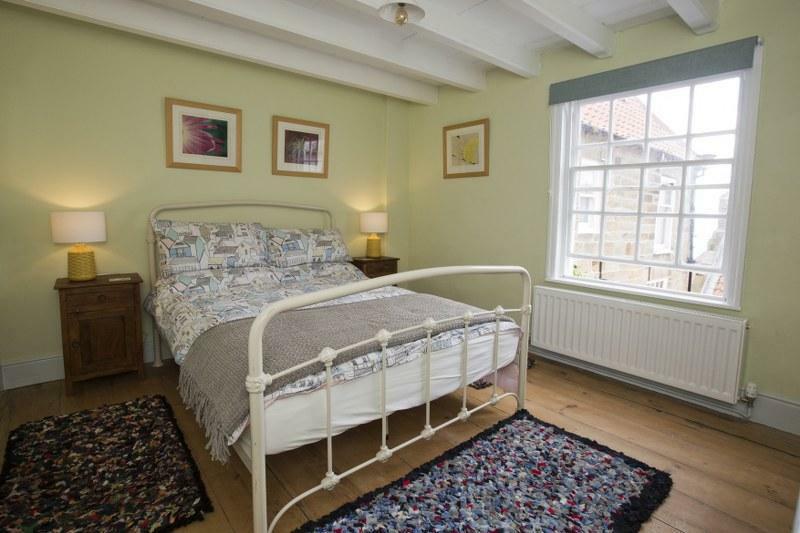 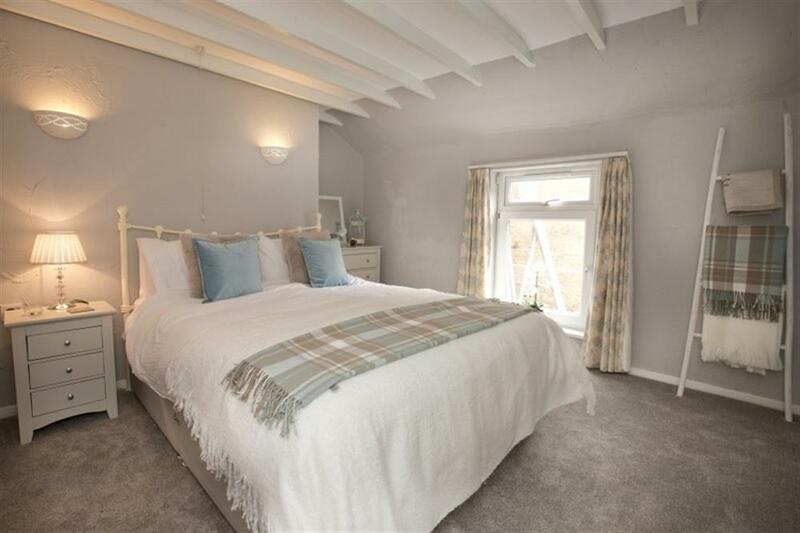 Set just behind the market square, this 4-Star graded cosy cottage is the perfect base from which to explore the stunning Wensleydale countryside. 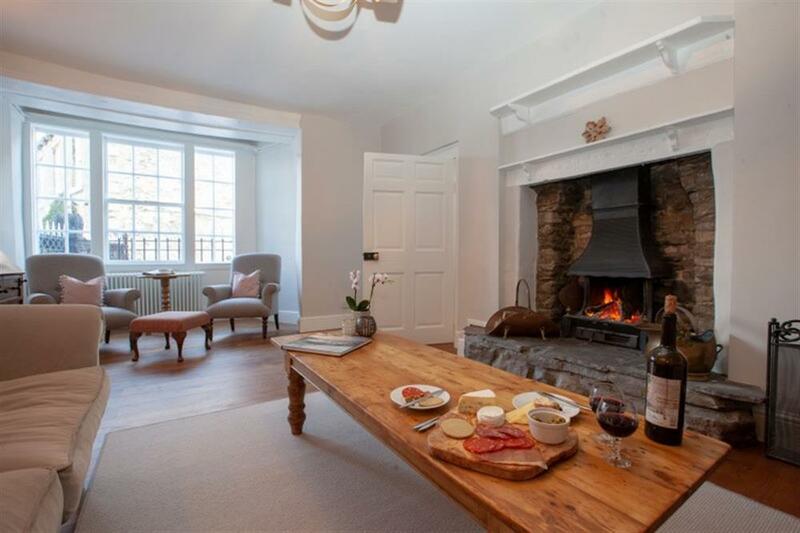 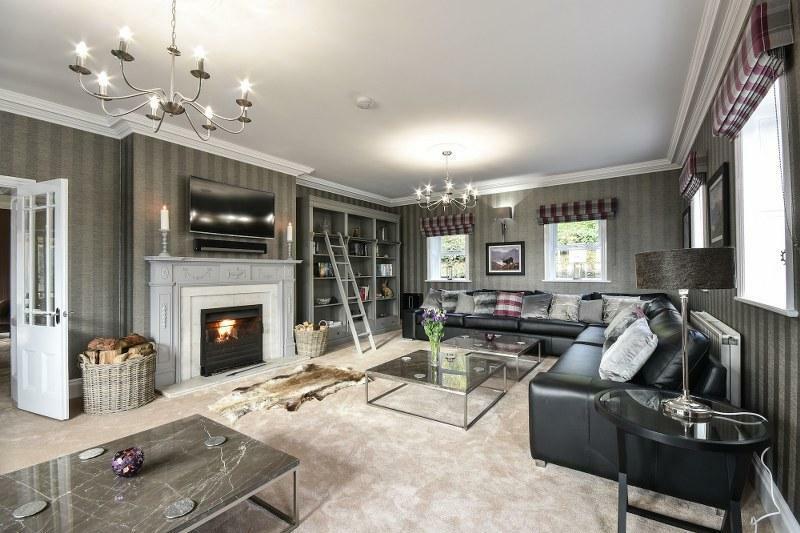 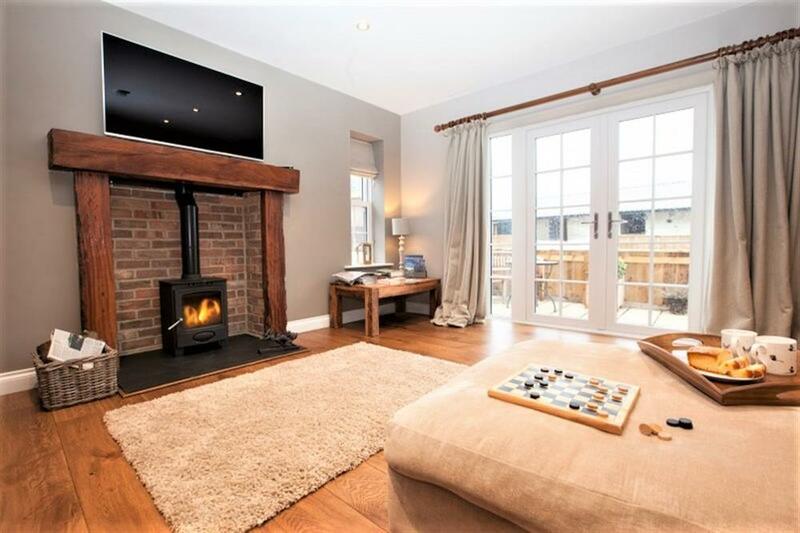 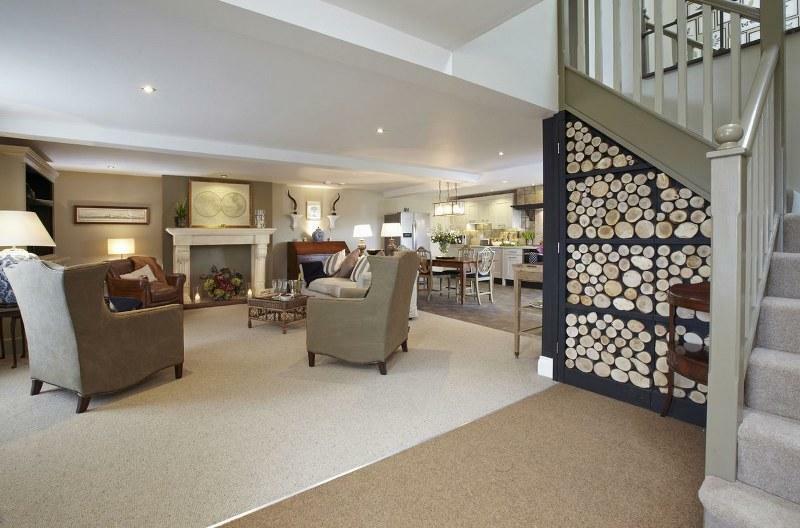 Strike out for a walk from the doorstep and be welcomed home by a roaring open fire each evening. 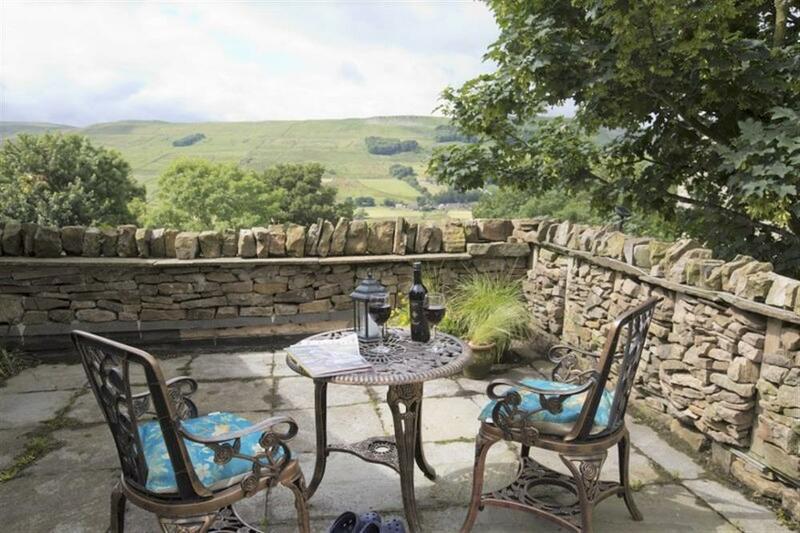 A little slice of Yorkshire holiday heaven. 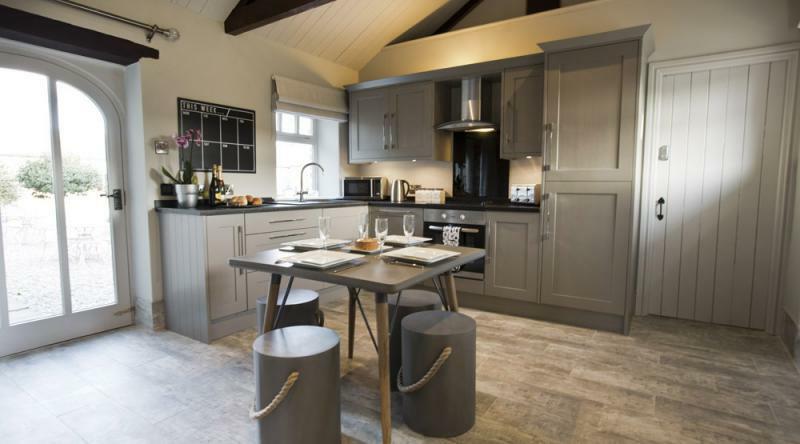 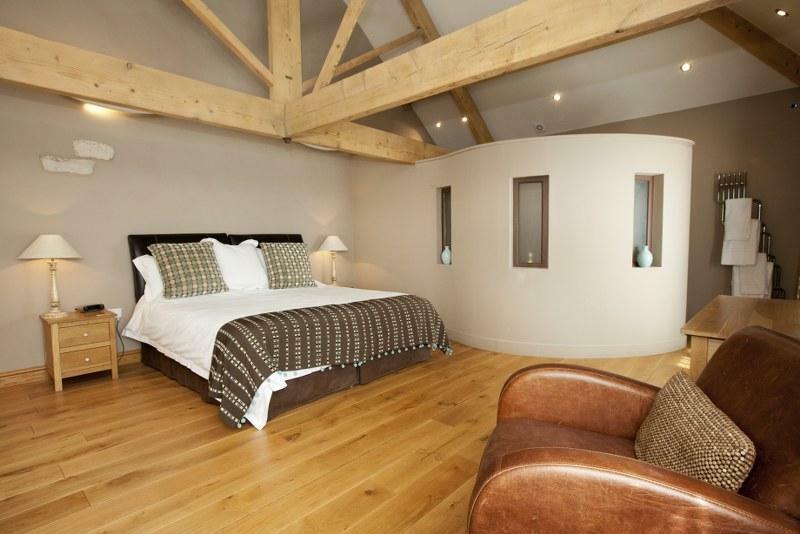 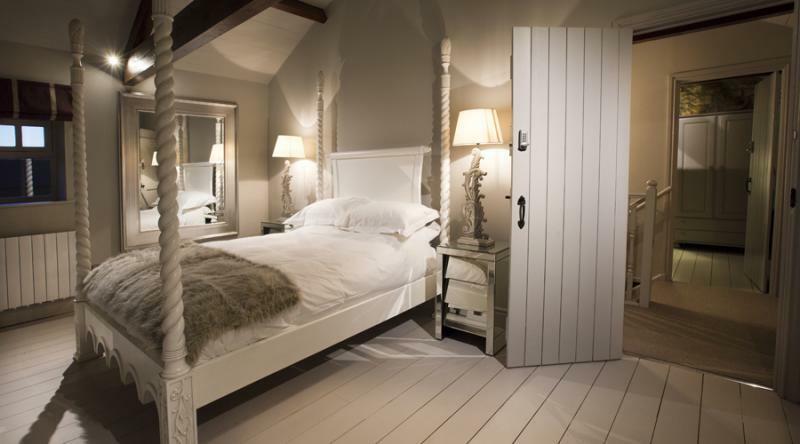 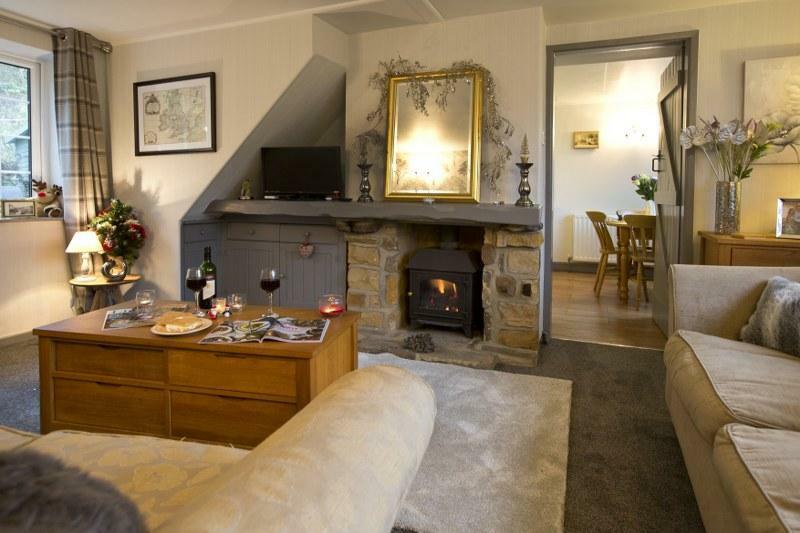 Luxury winter cottages in Yorkshire! 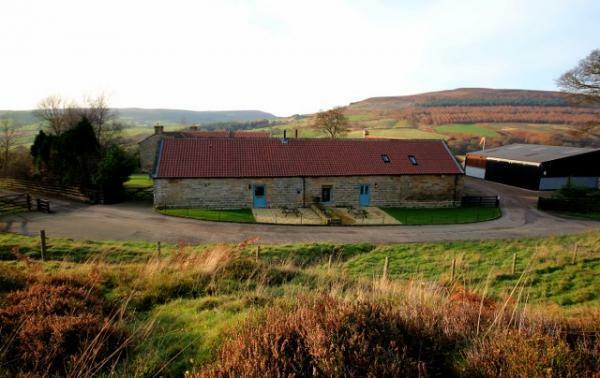 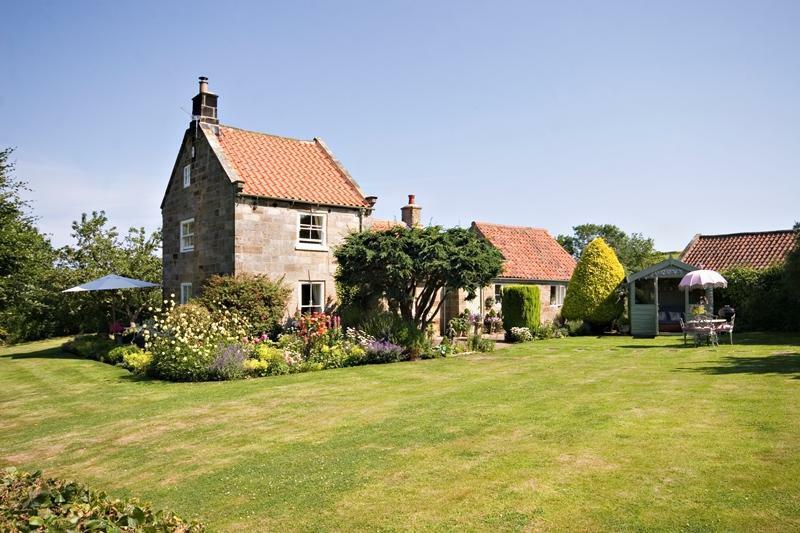 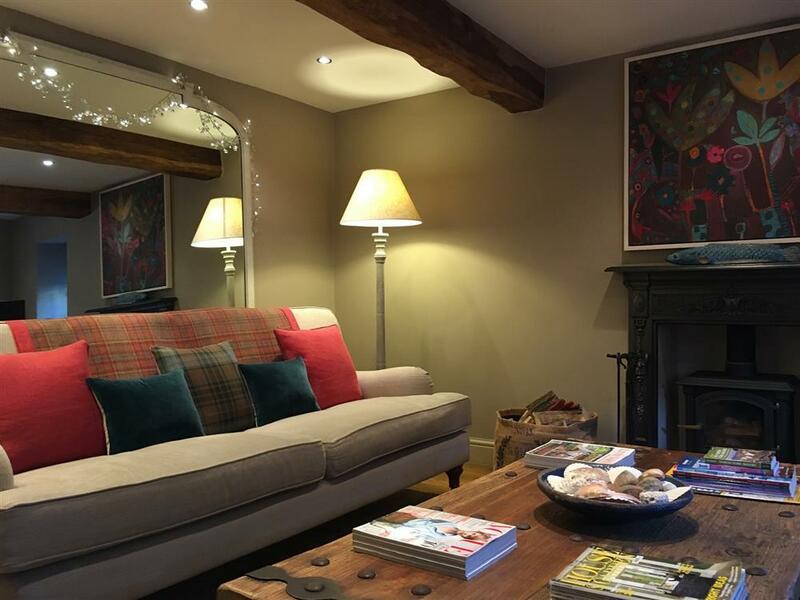 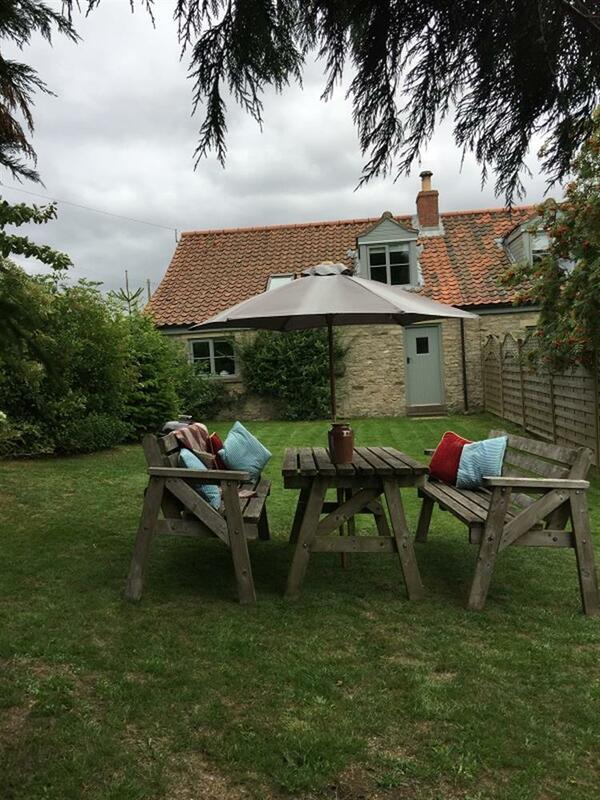 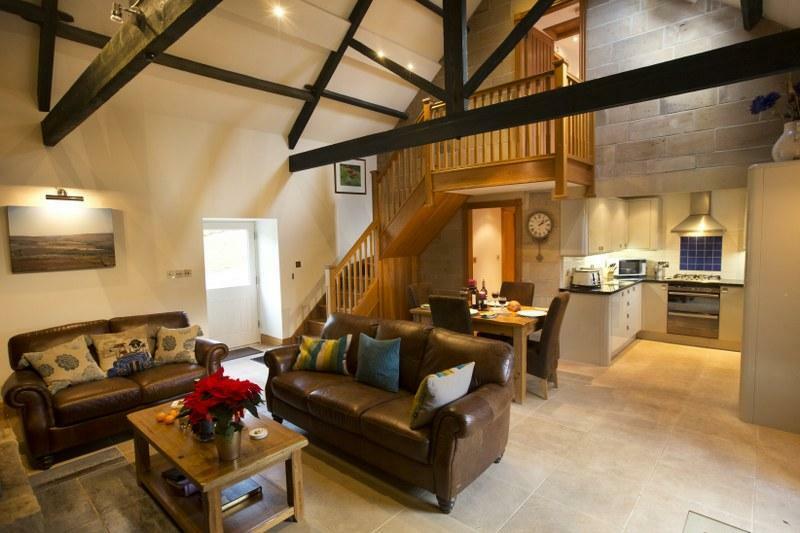 Bothy Cottage is a stylish 4 Star Gold 2-bedroom luxury cottage in Gillamoor, a sleepy little village in the North York Moors. 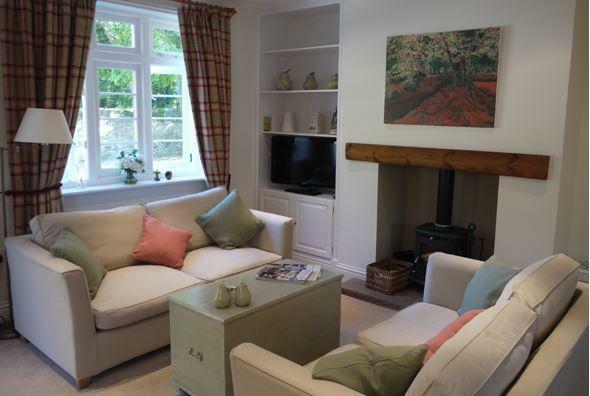 With its large garden and elegant interior it is the perfect country retreat for families and couples alike. 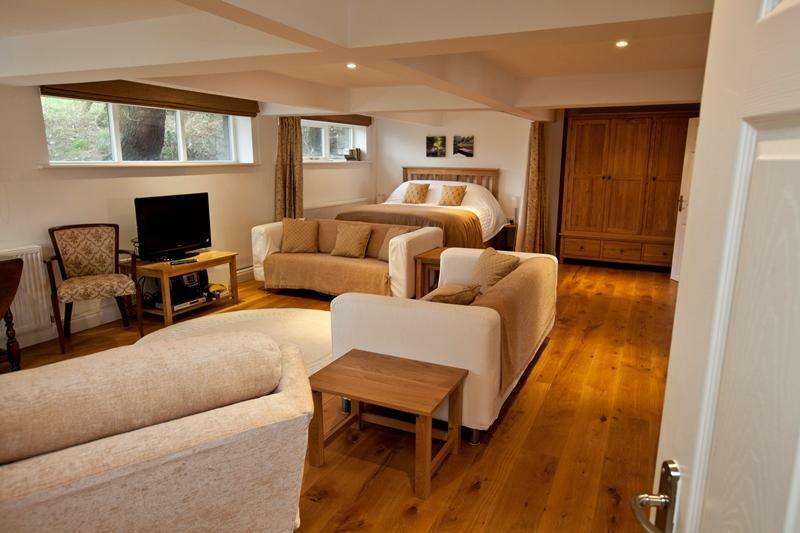 Gales Lodge, from £385 per week! 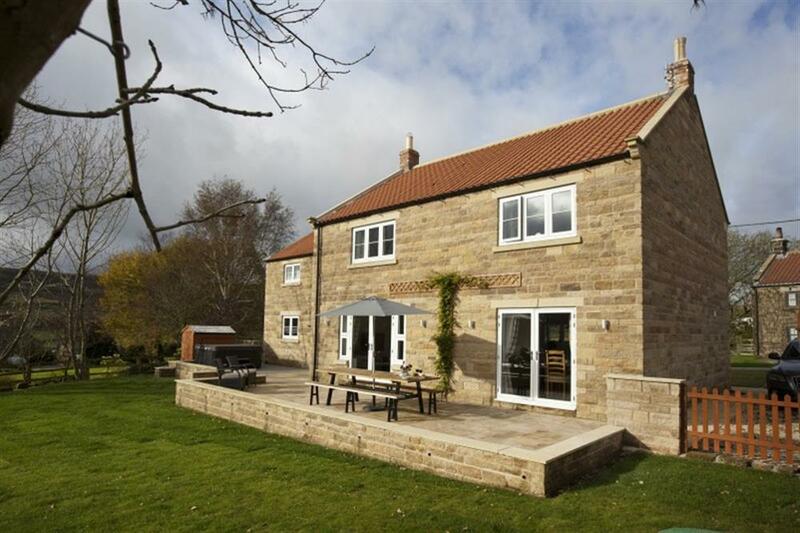 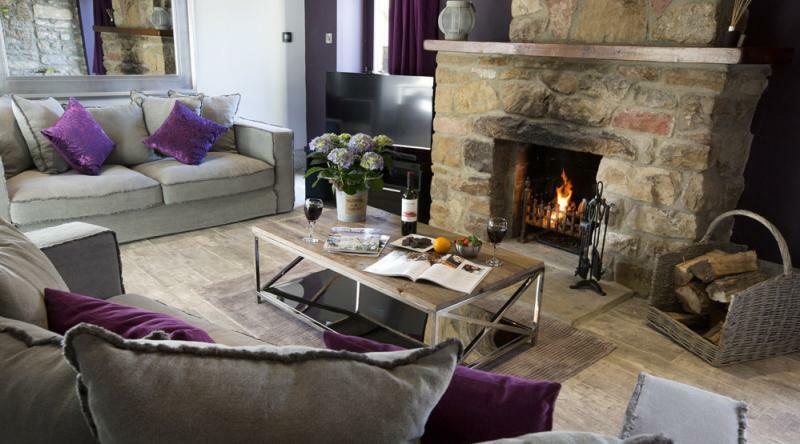 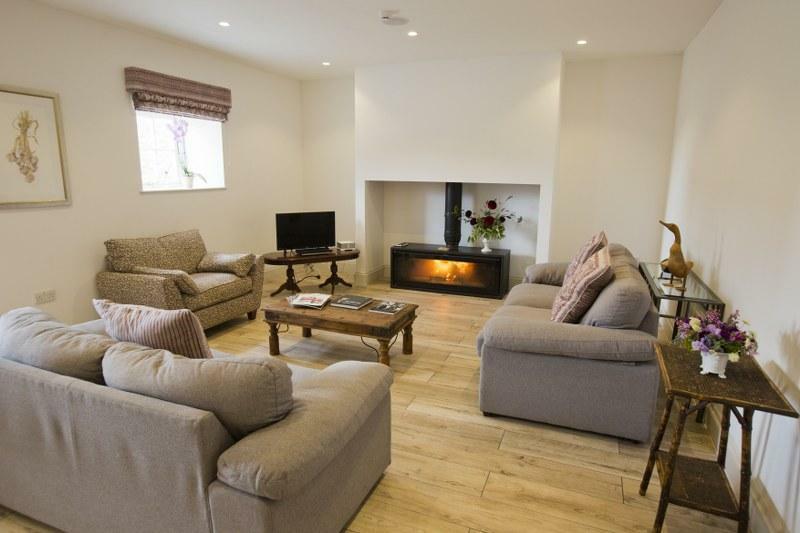 Gales Lodge is an exceptional 5 Star 1-bedroom luxury cottage set in a charming North York Moors village. 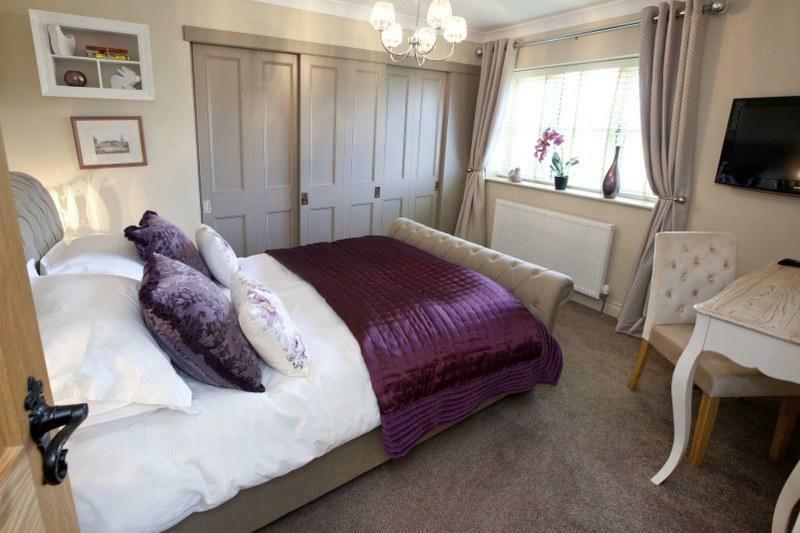 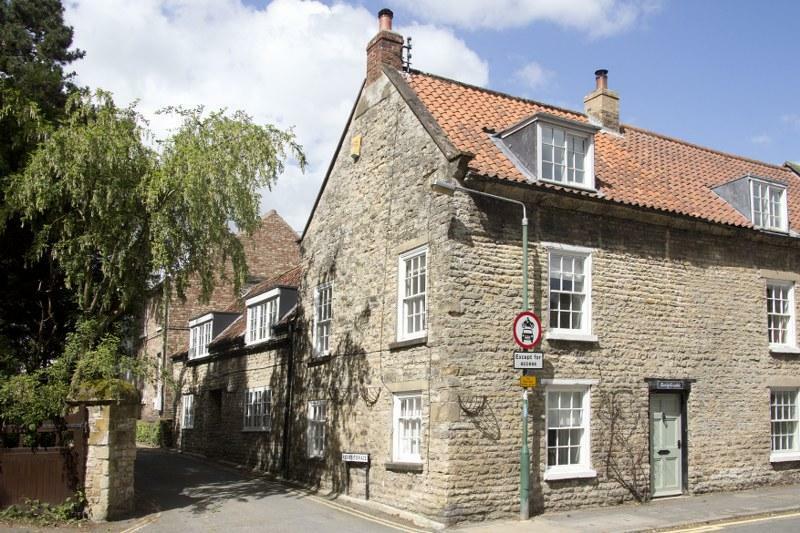 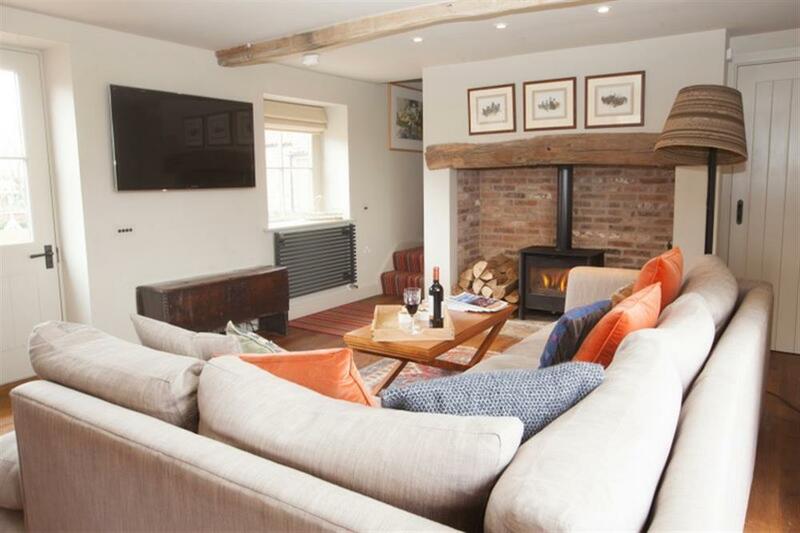 With a stylish country-chic interior and the village pub (a 17th Century Inn) just a stroll away, it is an idyllic Yorkshire retreat for couples and new parents alike. 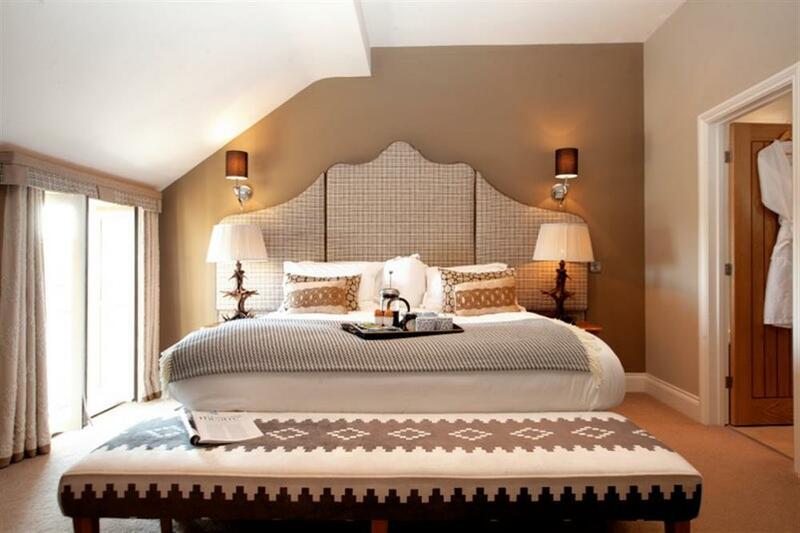 As soon as you walk through the door you can sense the quality of the interior furnishings and fixtures. 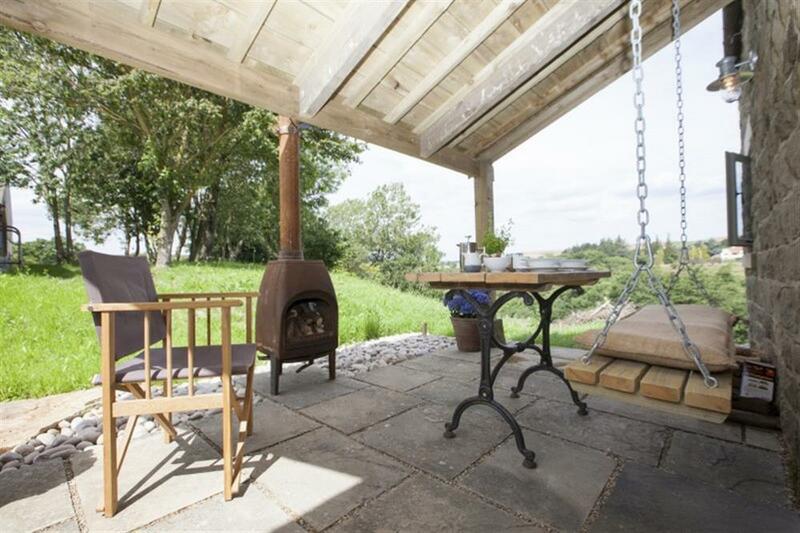 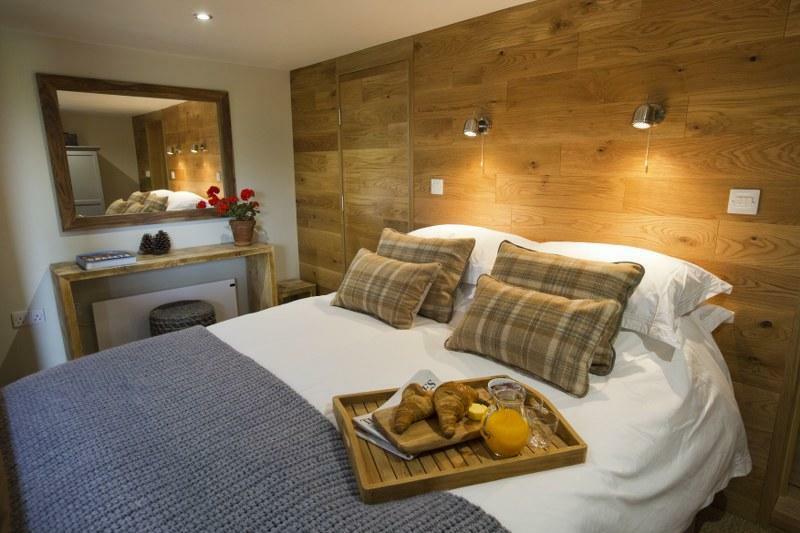 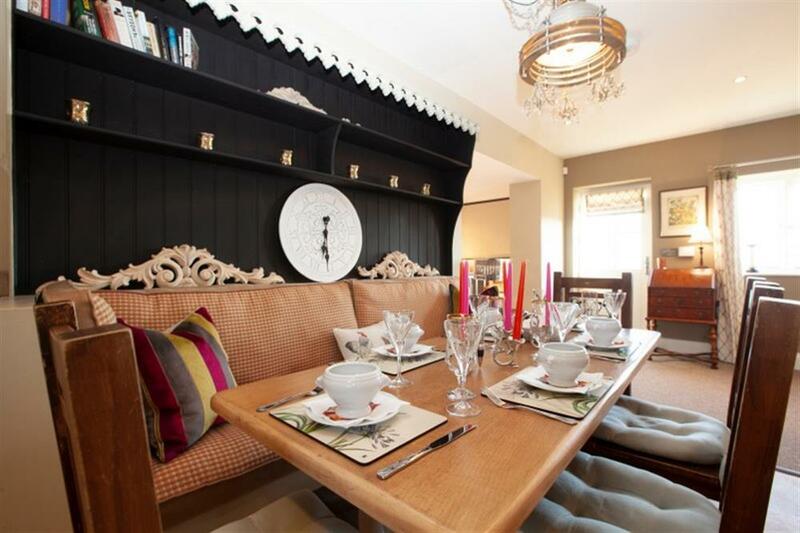 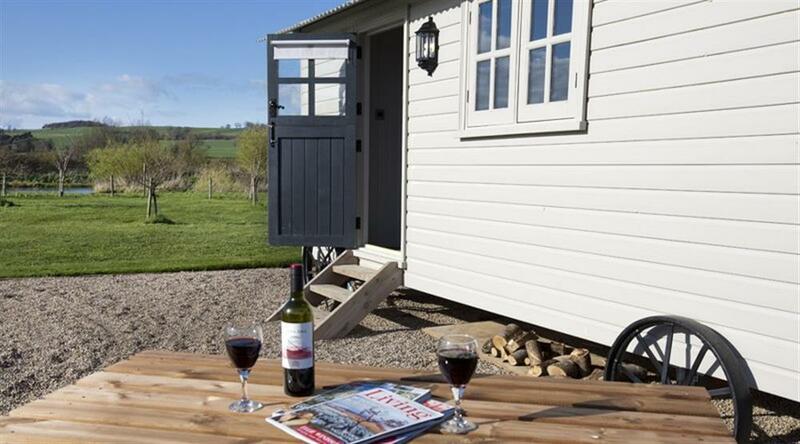 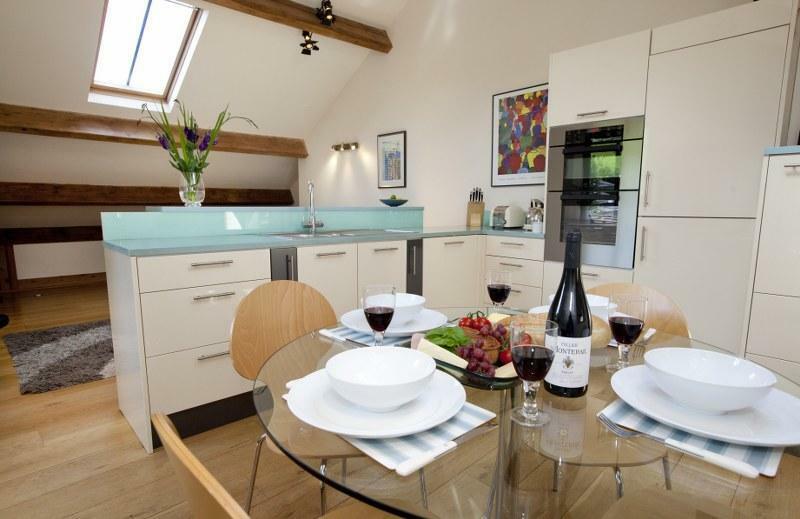 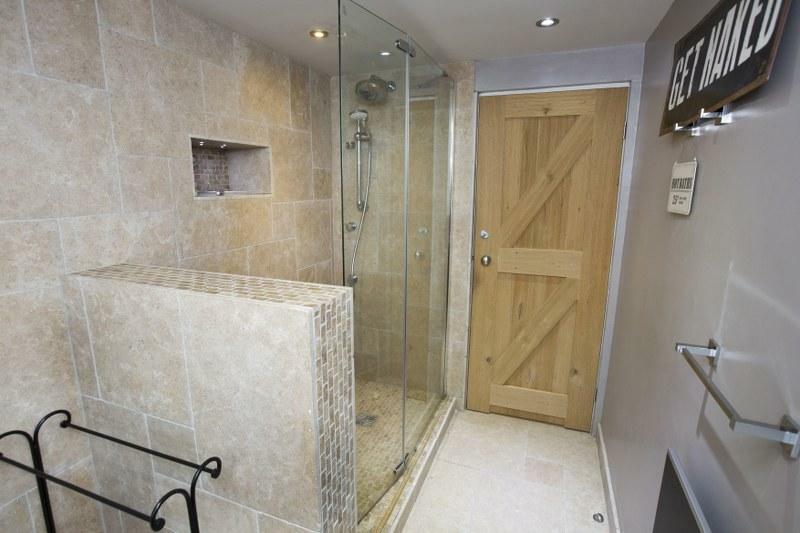 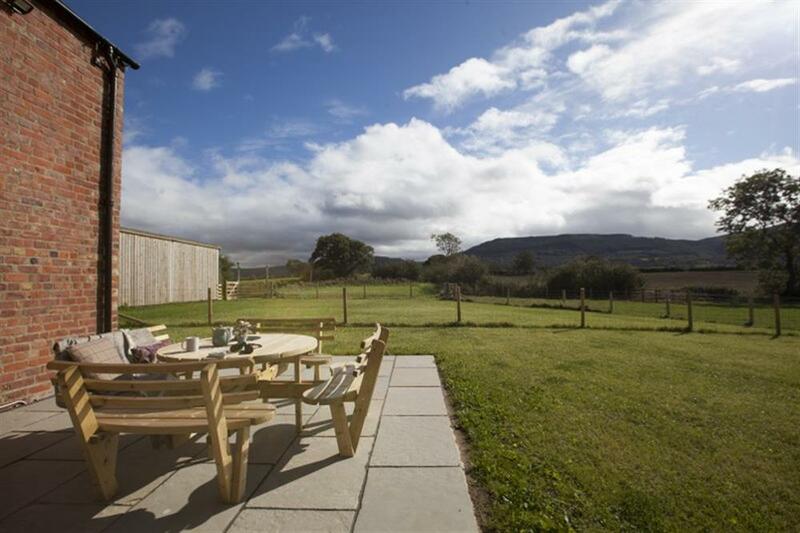 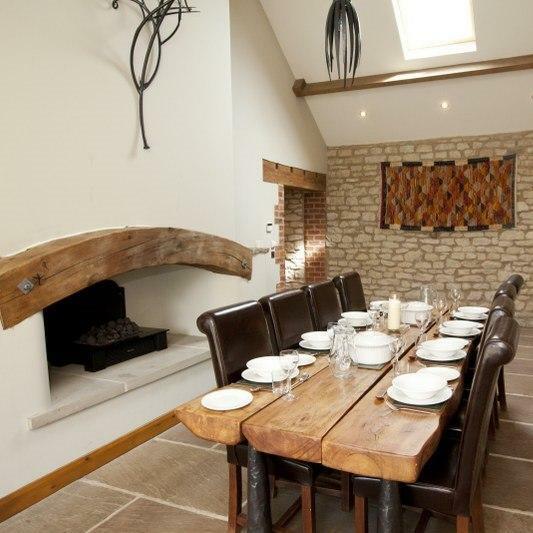 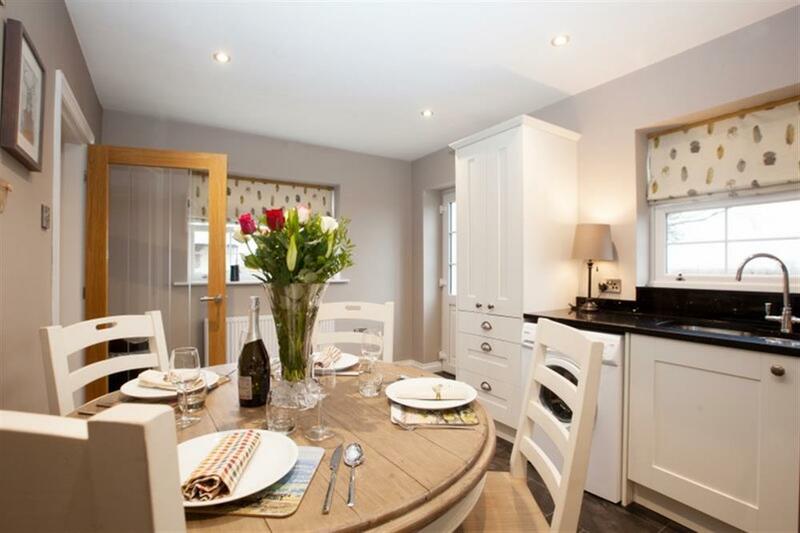 Gales Lodge has been lovingly crafted into a comfortable and elegant holiday home. 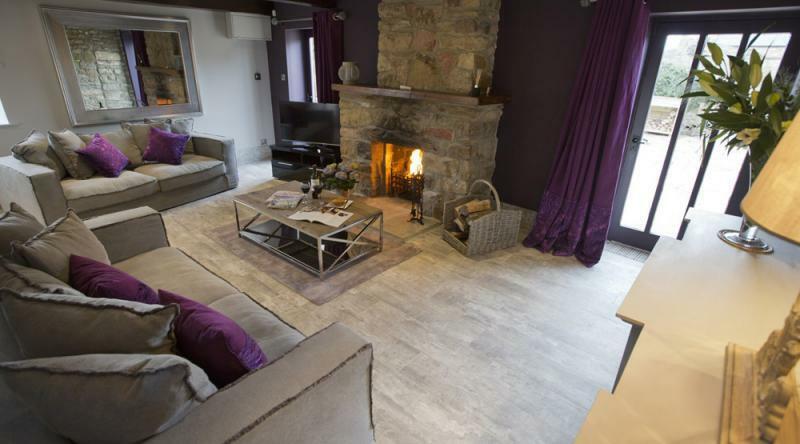 From the flagstone flooring to the wood burner in the corner, everything has been designed to create a warm and peaceful ambience. 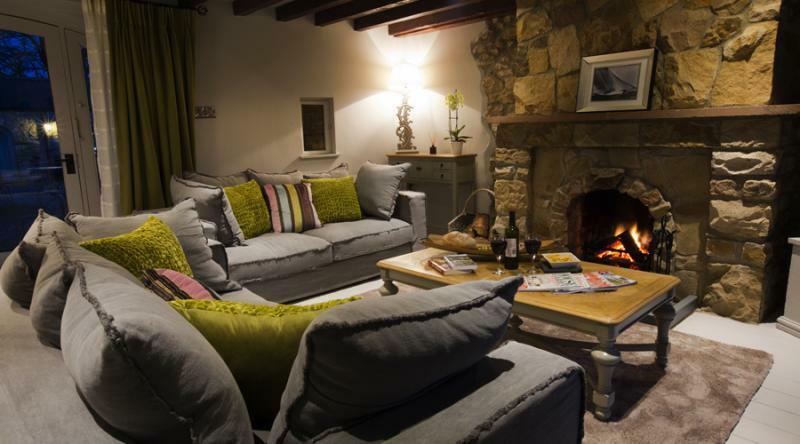 Brightly coloured fabrics contrast beautifully with the natural hue of the stone and walls. 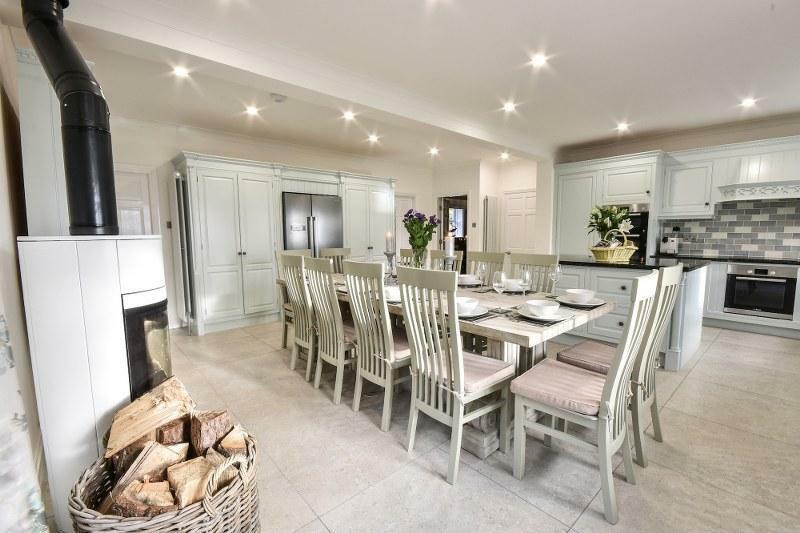 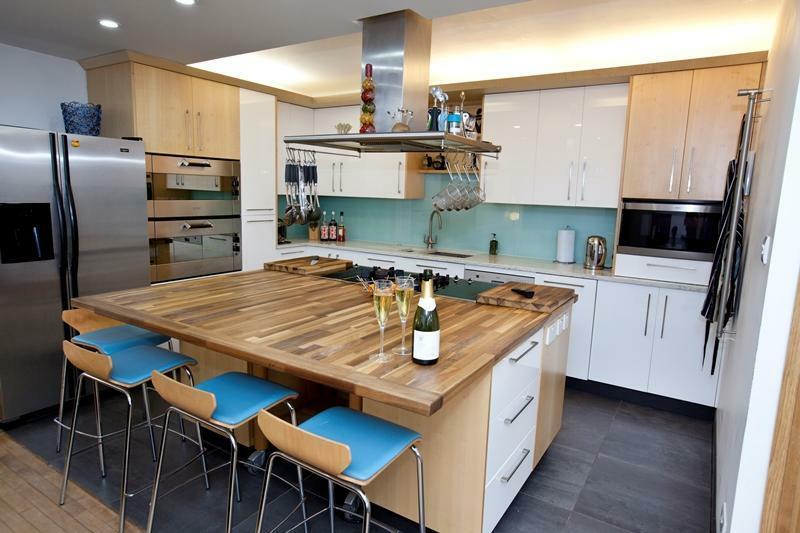 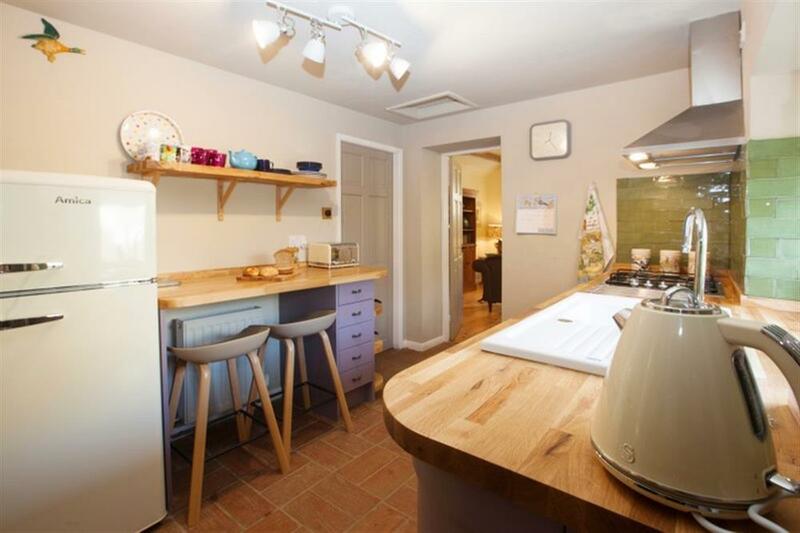 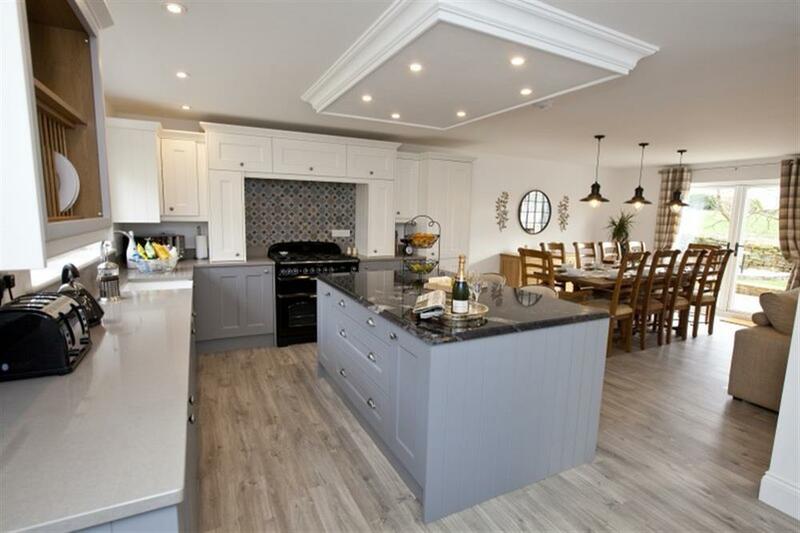 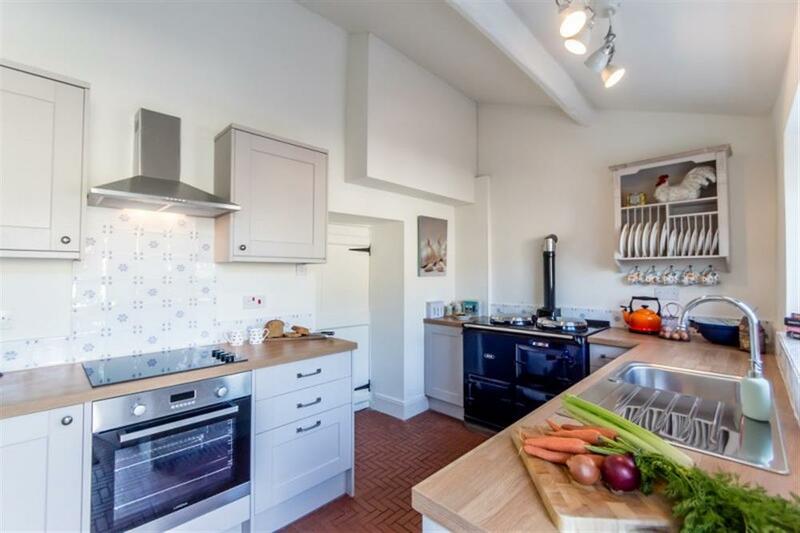 The open-plan kitchen and dining area is a great space to relax in, allowing you to chat to your loved one whilst cooking up a storm. 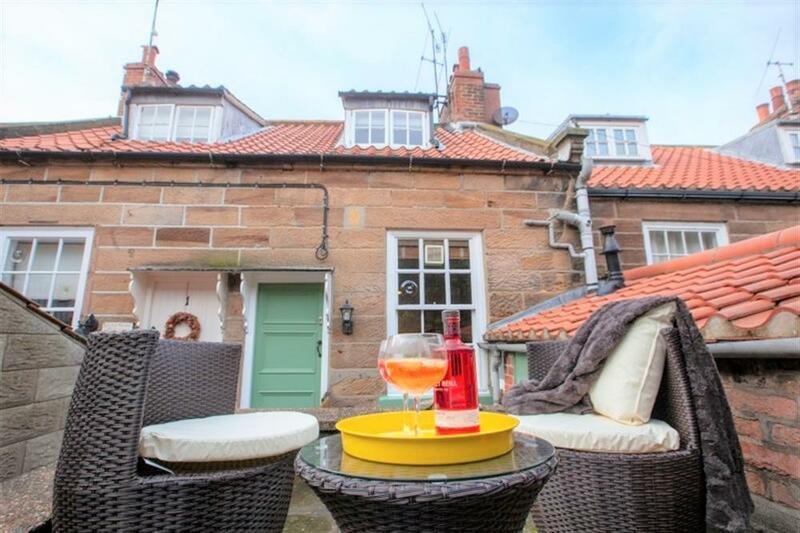 Welcome to Lenwood, an exquisite 3-storey sandstone cottage tucked away in the heart of Robin Hood's Bay, one of the prettiest and most-loved villages on the Yorkshire coast. 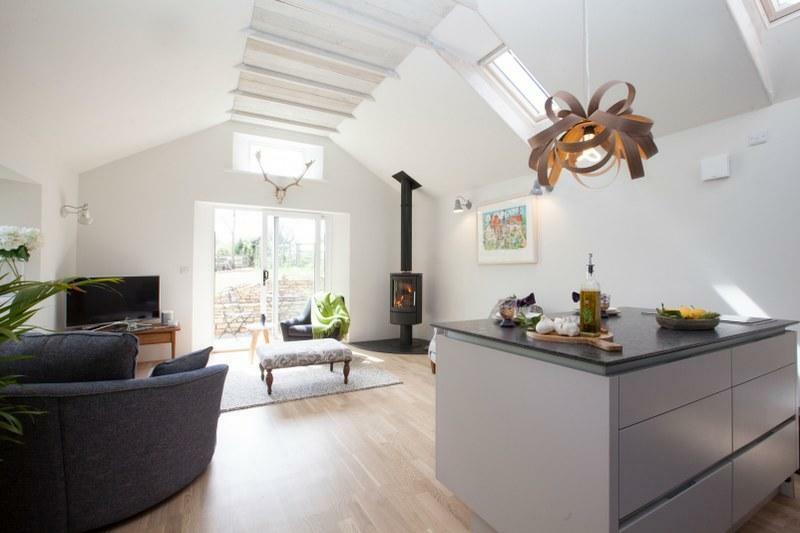 Chic cheerful interiors bring a smile to your face from the moment you walk in, and the village / sea views from the top floor across the roof-tops are breath-taking. 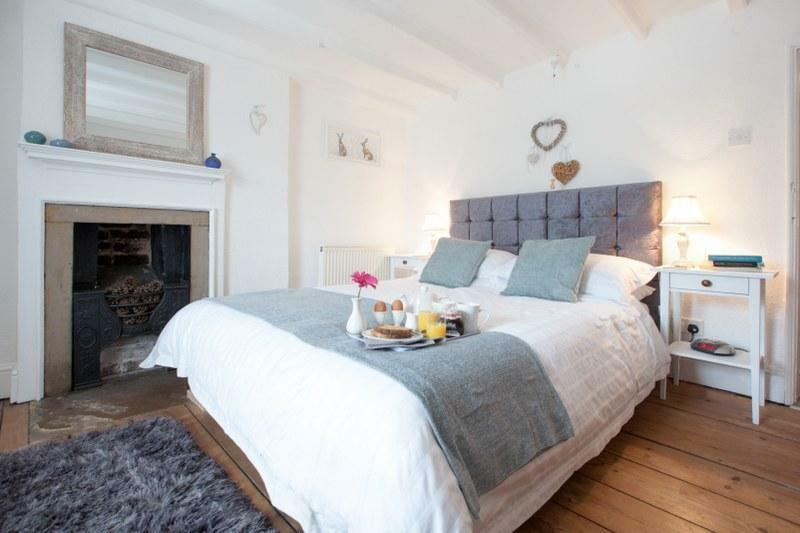 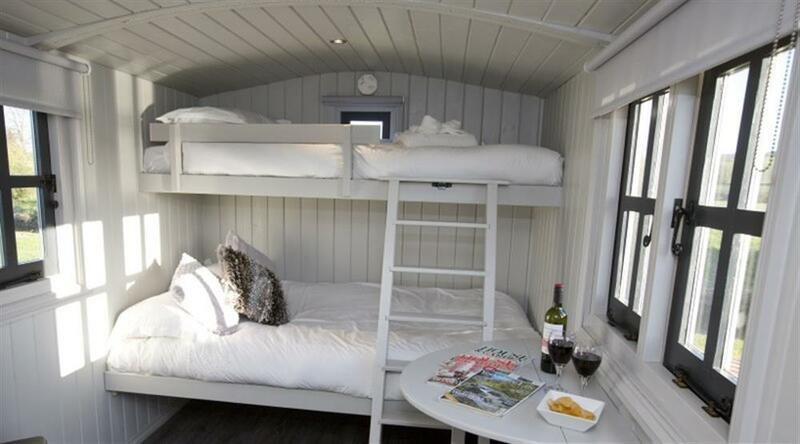 The perfect romantic little seaside hideaway for couples and small families alike. 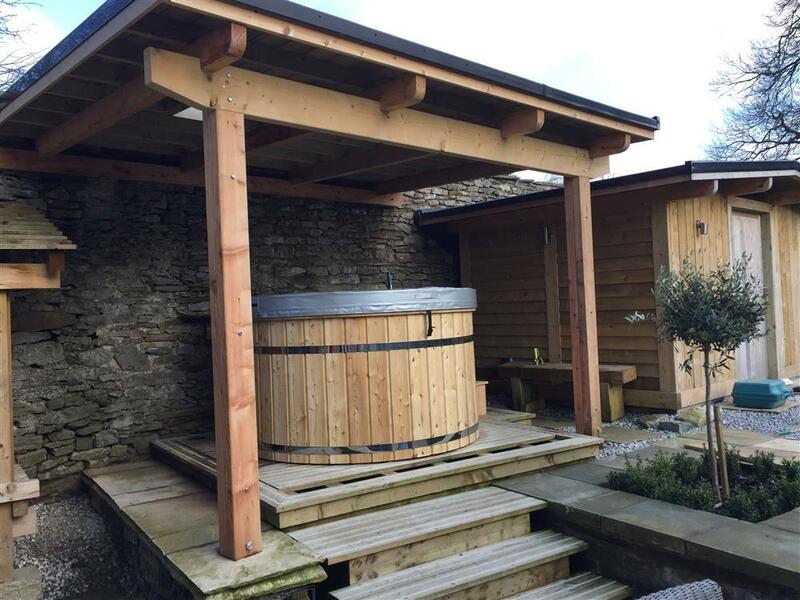 The Old Jet Works, from £245! 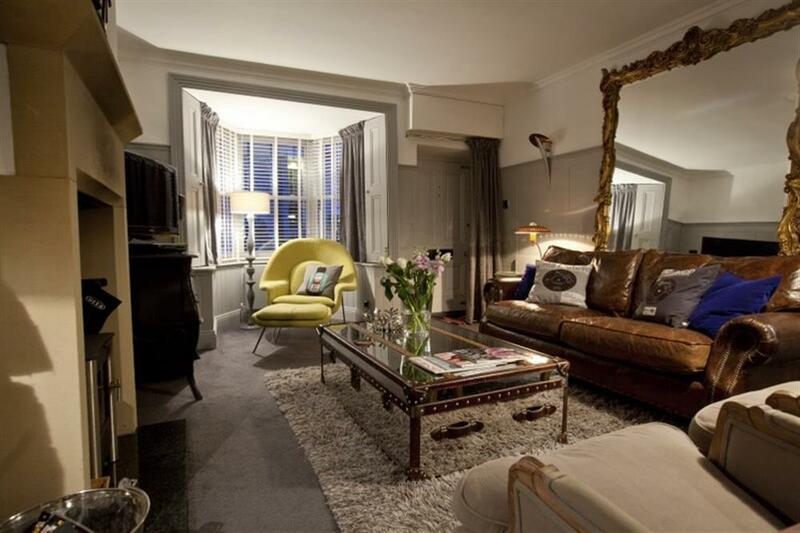 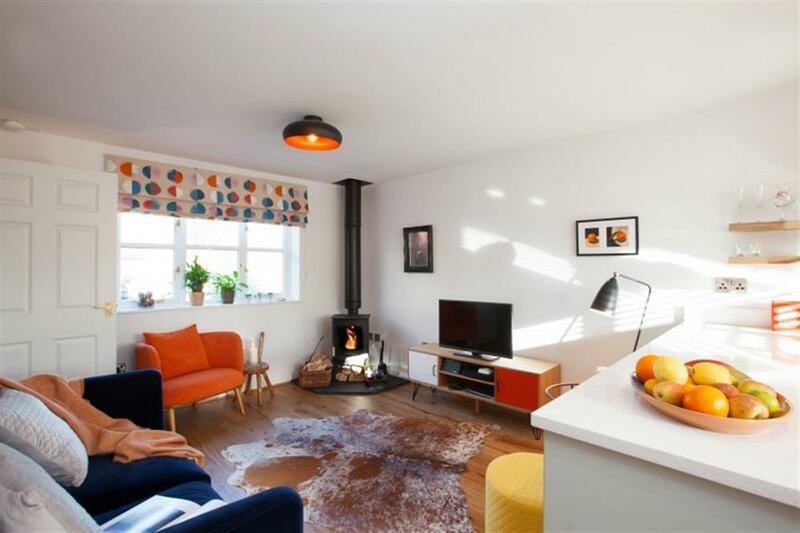 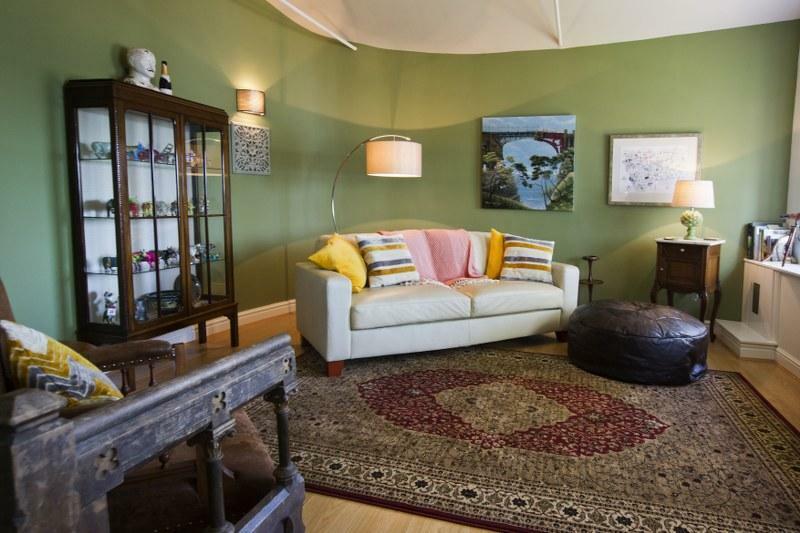 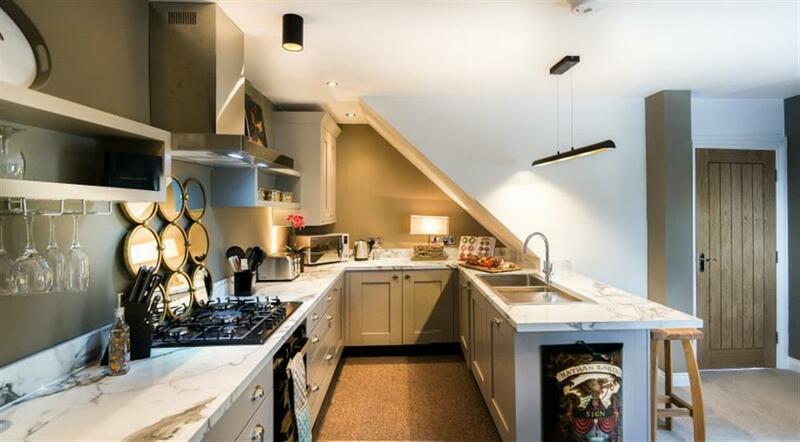 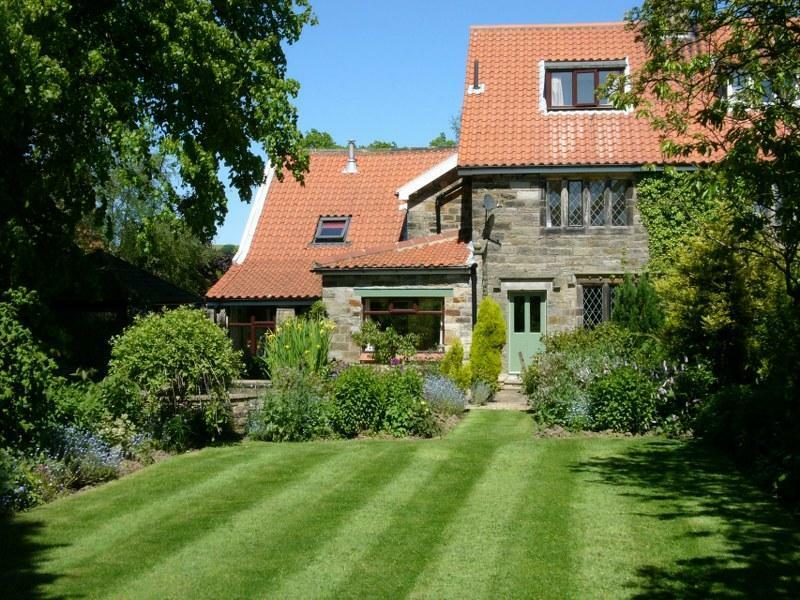 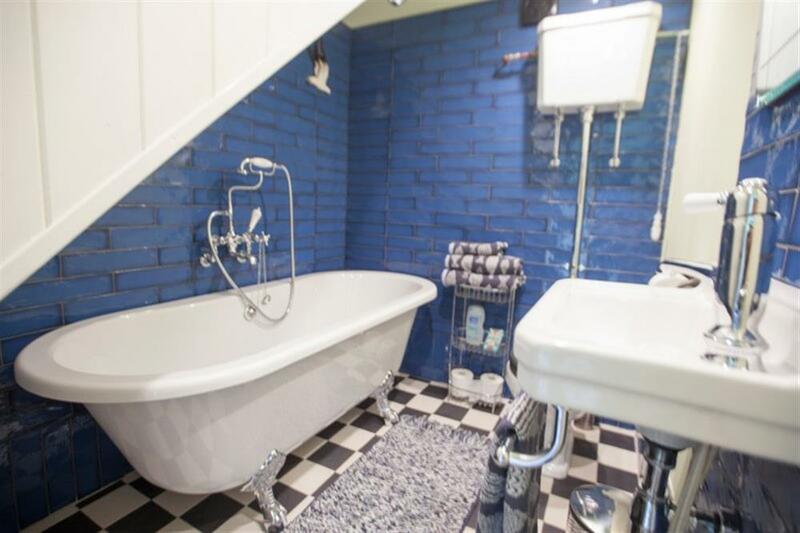 A fabulous vintage-chic holiday home with stunning sea views in Victorian Scarborough, welcome to The Old Jet Works. 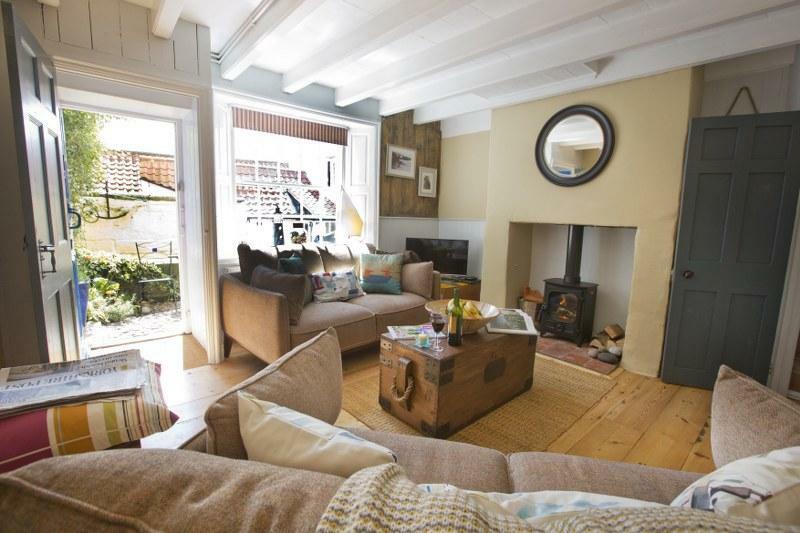 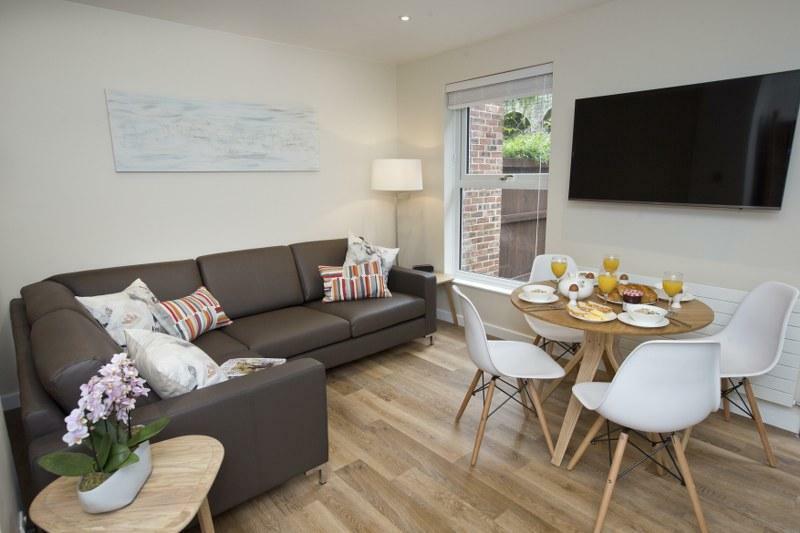 This gorgeous one-bedroom property has one of the hottest addresses in town, within easy walking distance to the beach, shops, cafes and restaurants of this charming seaside resort. 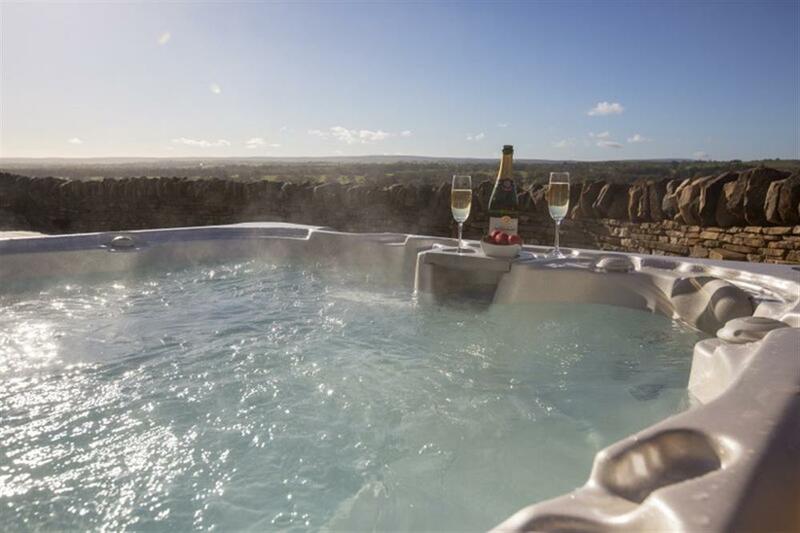 The perfect escape for couples who love everything on the doorstep. 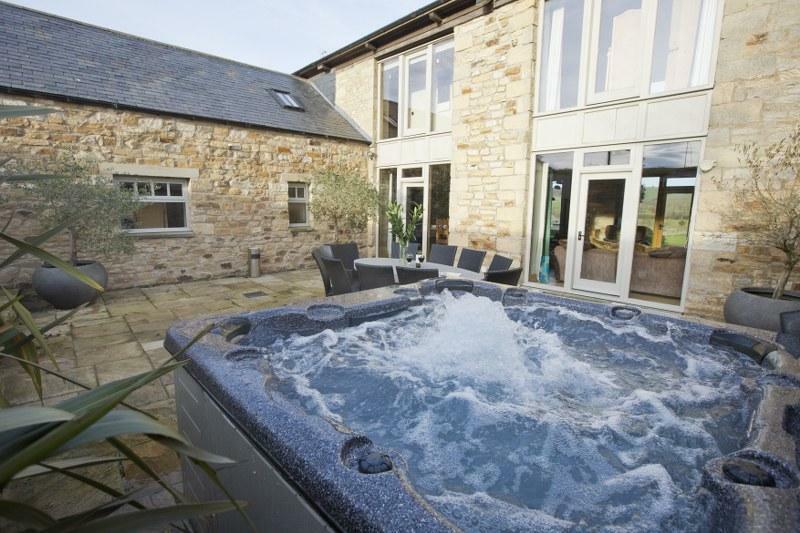 Aria Resorts has just added a fantastic new offer for 25% off festive breaks at The Bay Filey in Yorkshire. 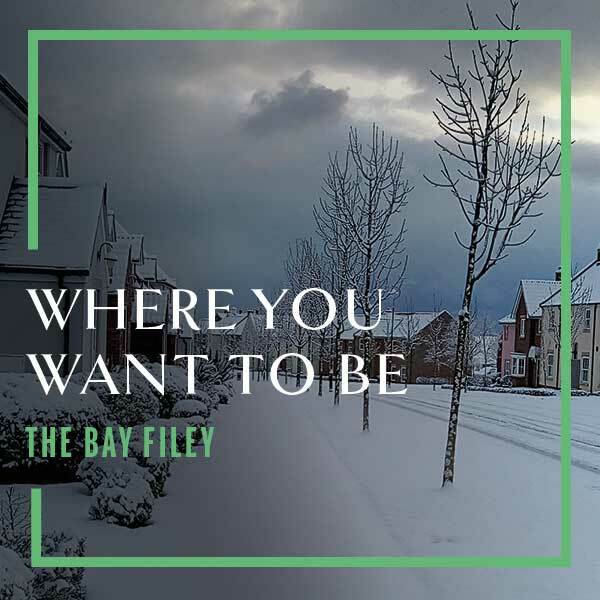 ENJOY CHRISTMAS AND NEW YEAR AT THE BAY FILEY! 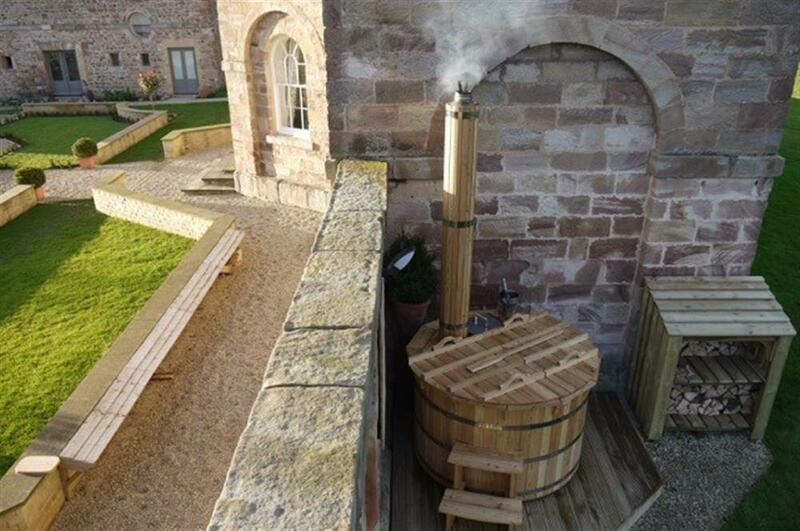 We have something for everyone, with lots of activities taking place throughout the festive period. 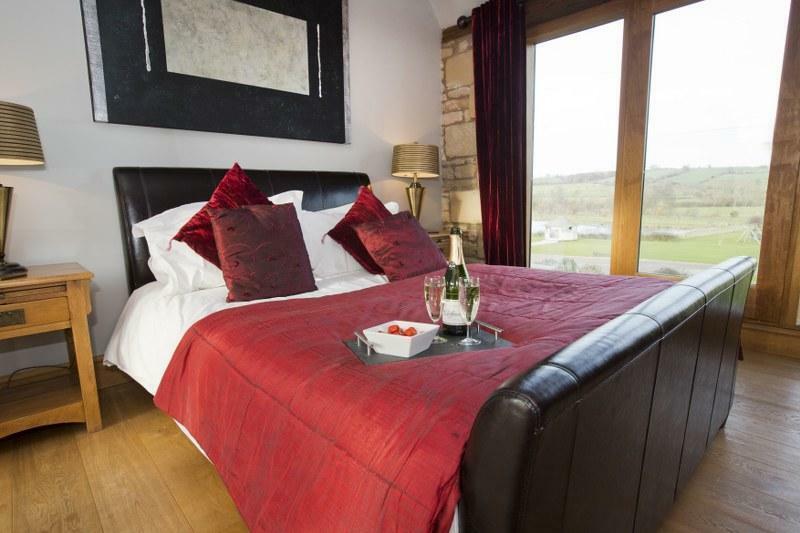 If you are staying for the big day, then be sure to call in at The John Paul Jones on Christmas Eve. 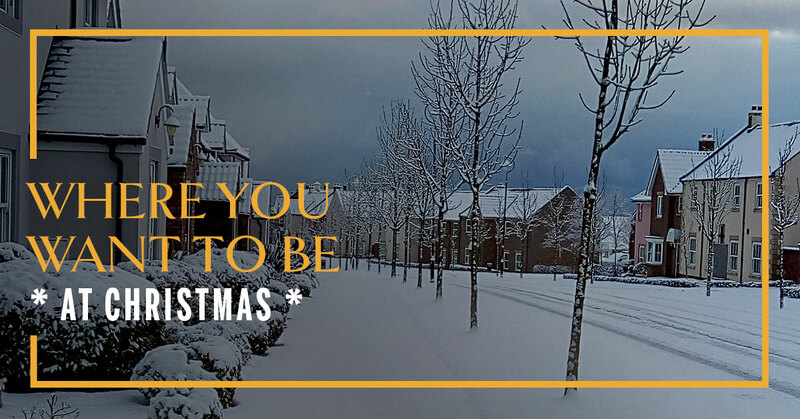 There will be a special visit from Santa who will be handing out gifts to all the good little girls and boys. 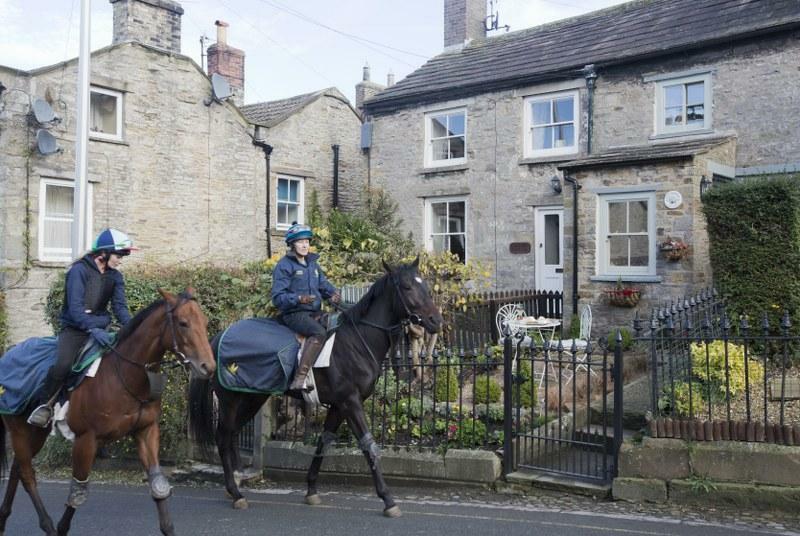 Also listen out for our flash mob carol singing; this is a real treat and will be sure to make you smile. 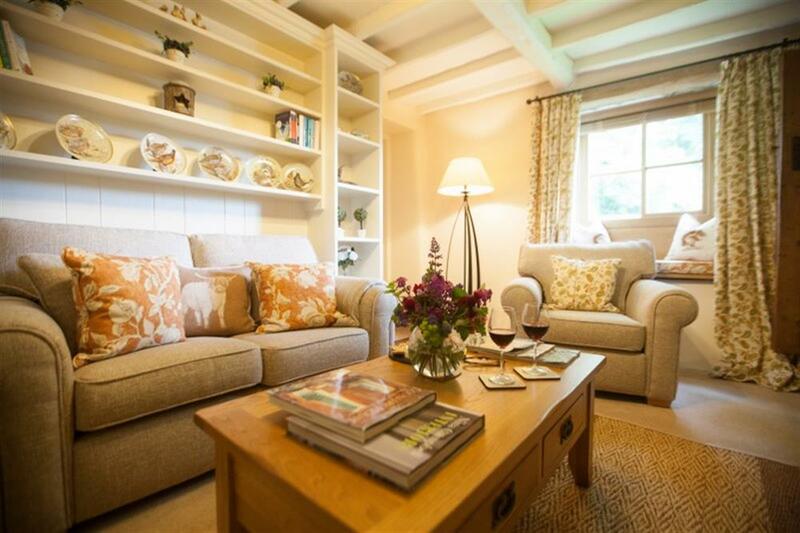 Save 25% off festive breaks between 21 December until 27 December. 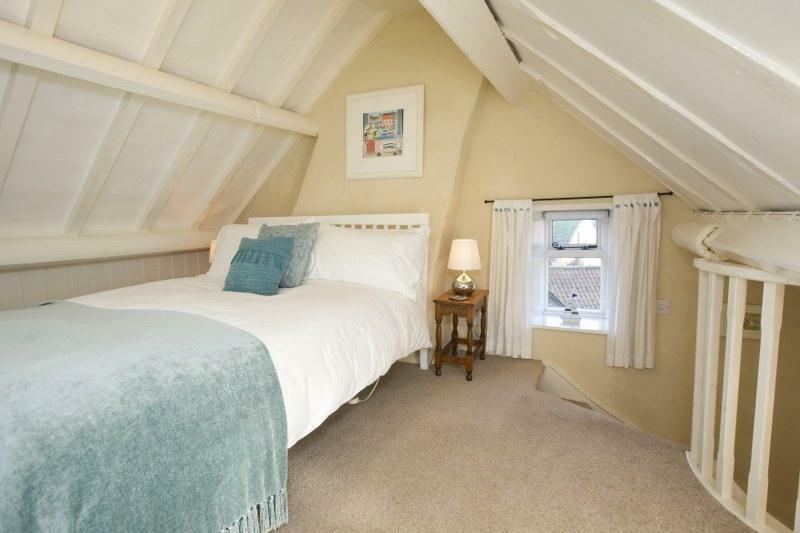 Saving applies to all accommodation for short breaks or week long stays. 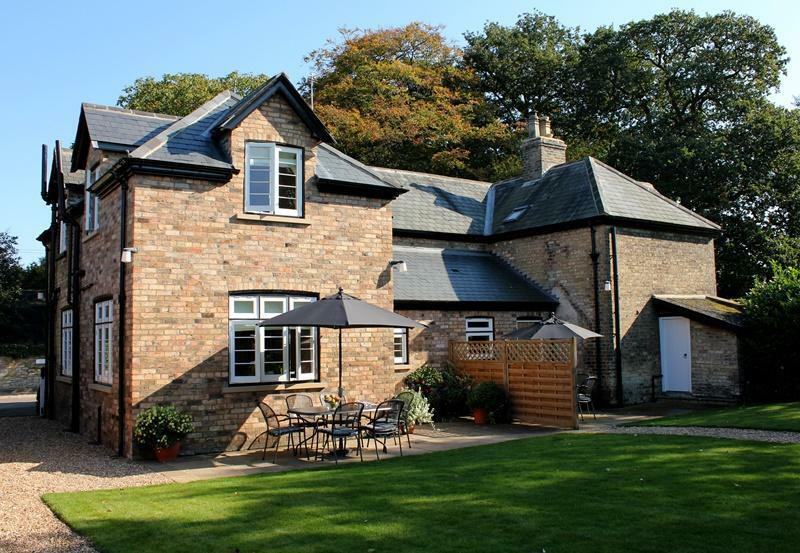 Terms and Condition apply - please see link below or voucher for more information. 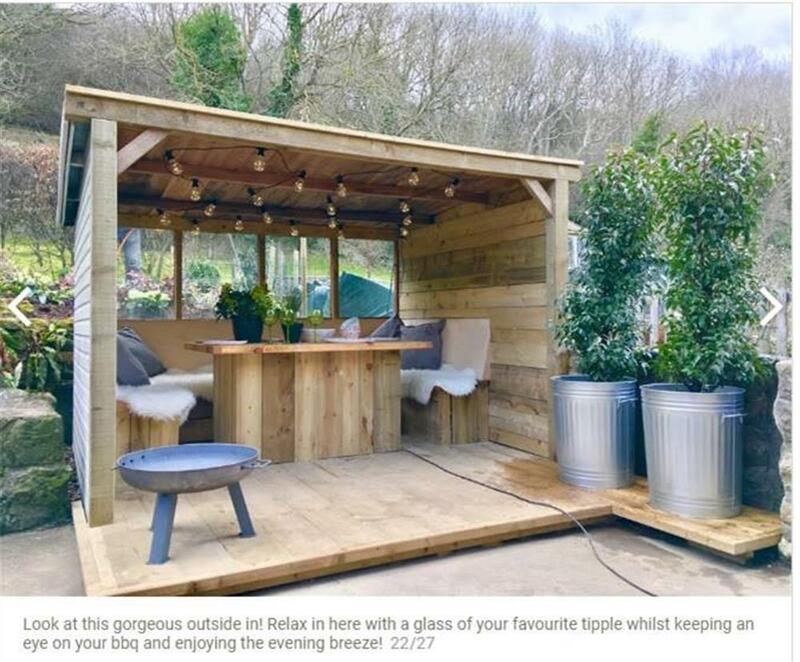 We hope that you would like to work with us and help promote what we believe to be a brilliant offer for you and customers alike. 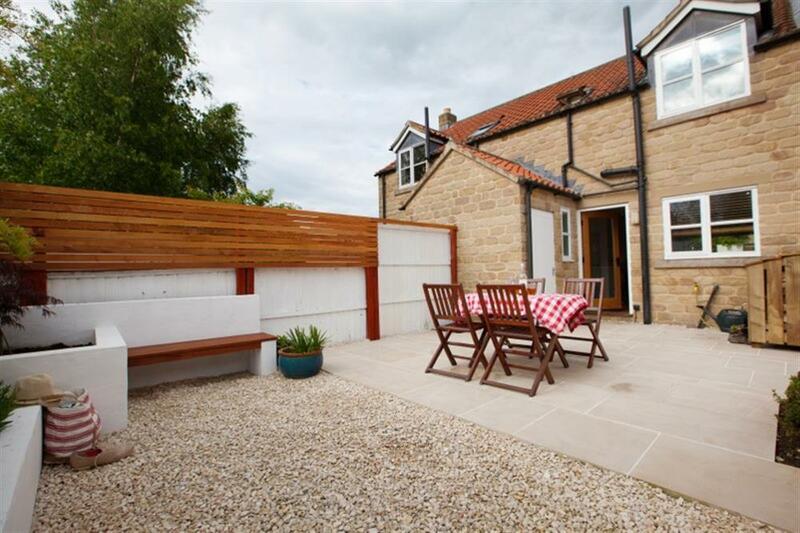 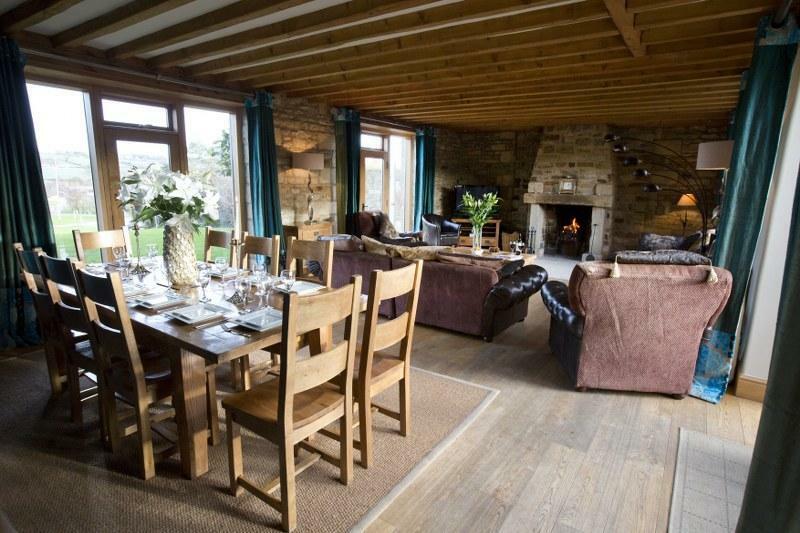 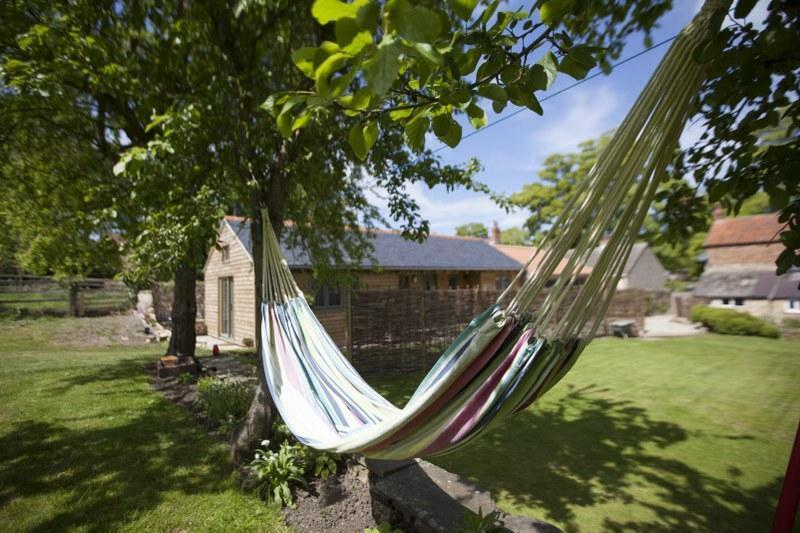 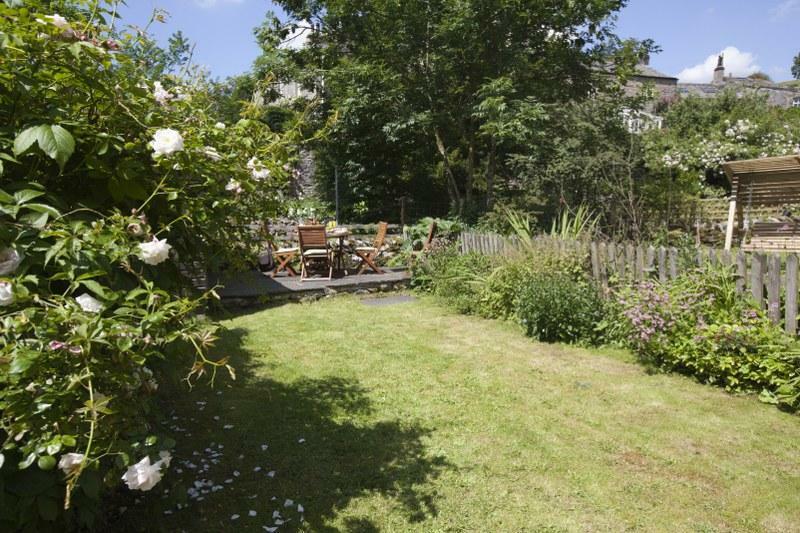 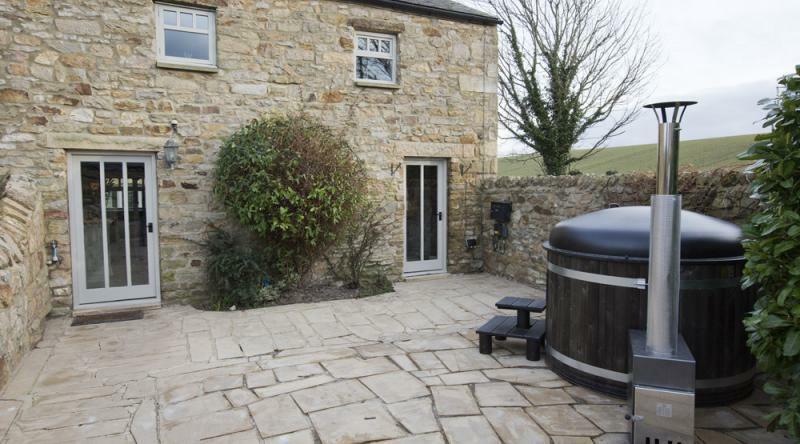 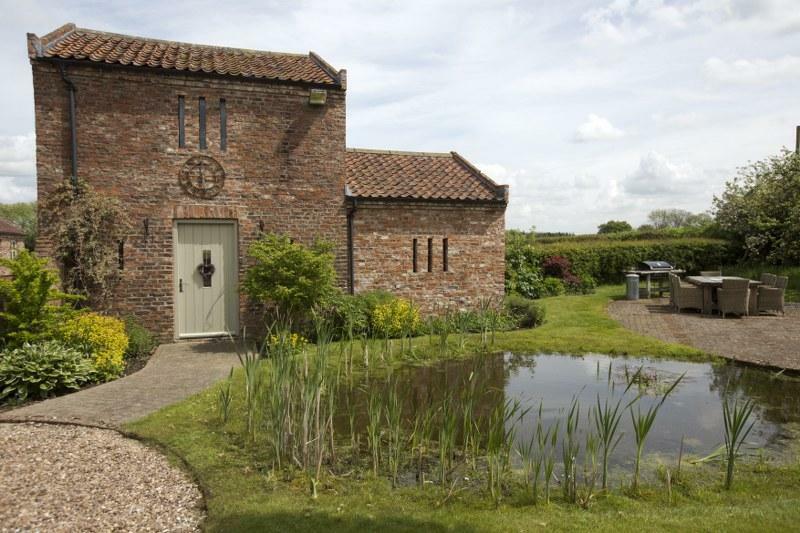 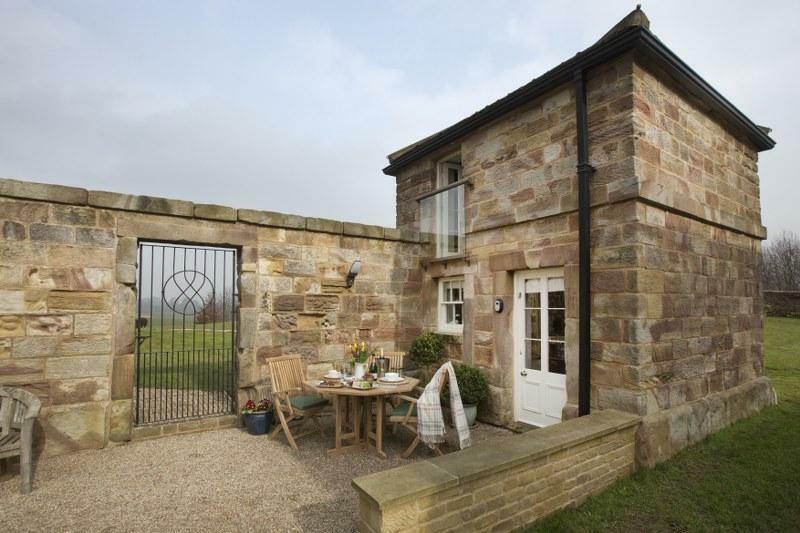 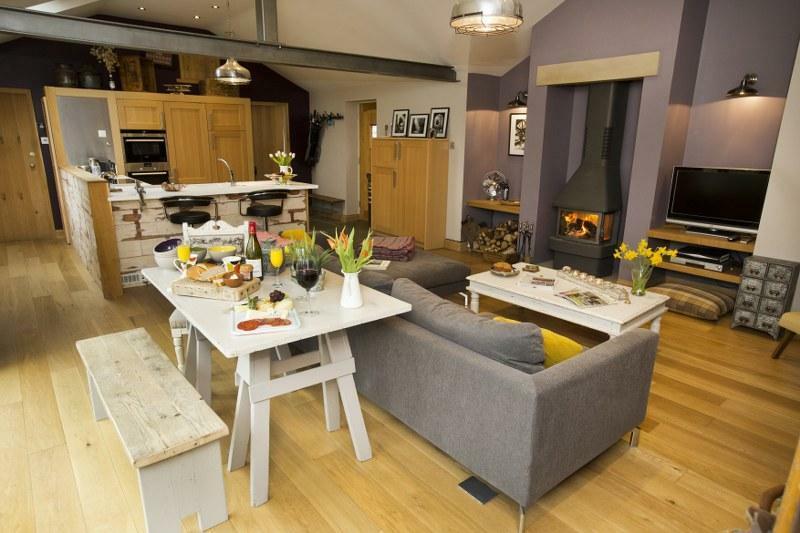 Featured as one of the coolest cottages in Yorkshire by The Guardian July 2014! 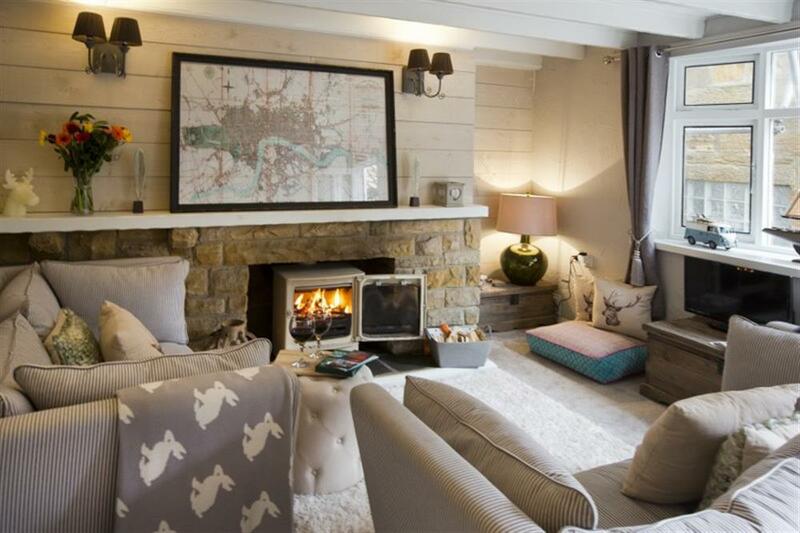 Featured in Ideal Home Magazine July 2014! 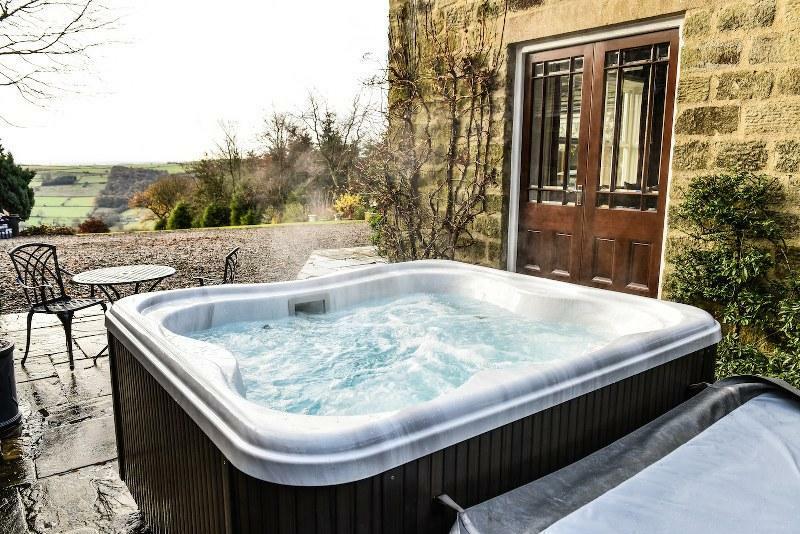 elcome to Earl Grey, an exquisite romantic retreat complete with a hot-tub set within the grounds of a beautiful and historic estate in Wensleydale. 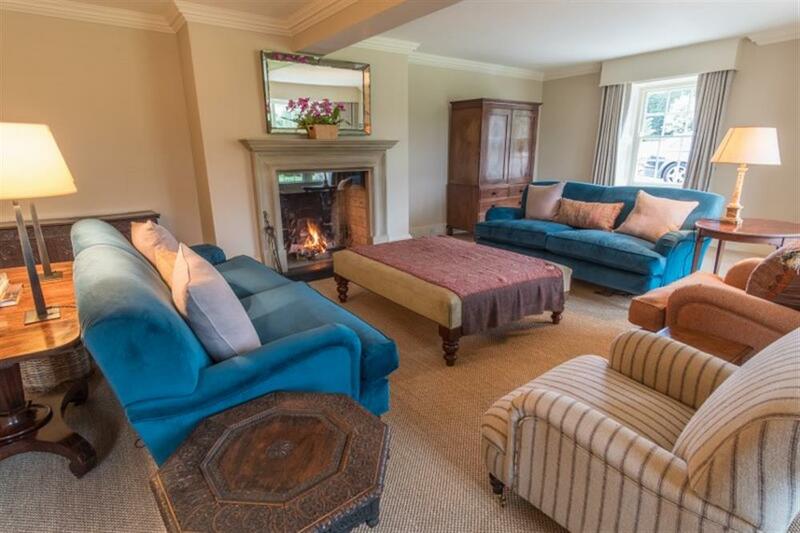 Subject to recent and outstanding renovation, this gorgeous Grade II listed building has been transformed into a luxury bijou country retreat straight from the pages of a Jane Austen novel. 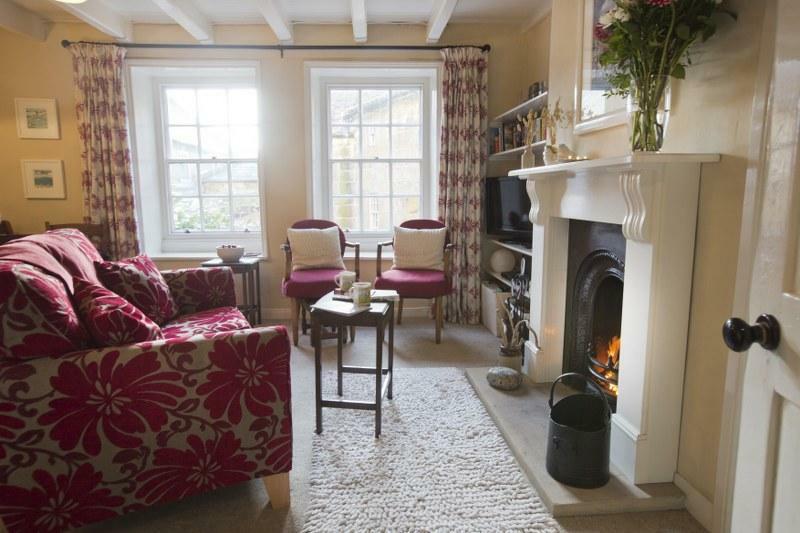 Earl Grey has an incredibly romantic history. 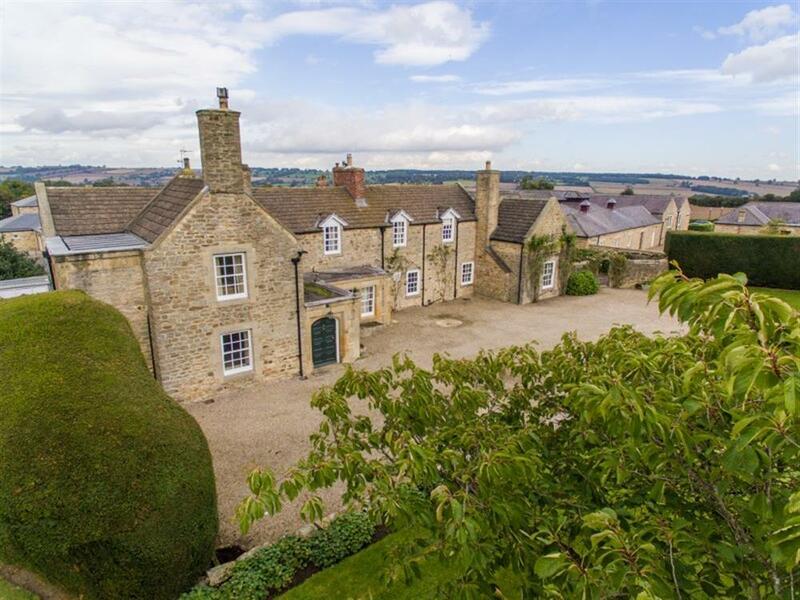 It's said that the former Earl of the estate had 4 Palladian style model farms built at all 4 points of the compass from his castle so that his Italian wife would feel at home. 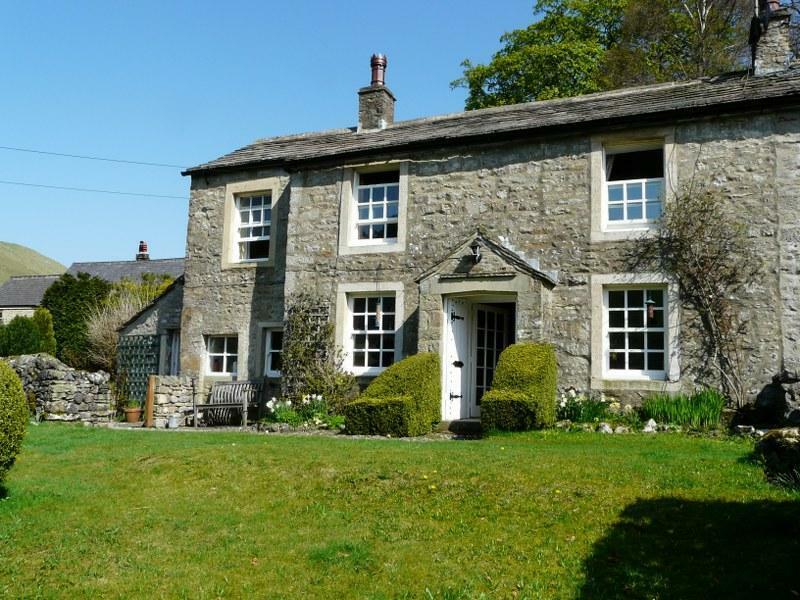 Earl Grey forms part of one of these stunning Georgian farms and affords its own wonderful views of the castle, estate and Wensleydale beyond.